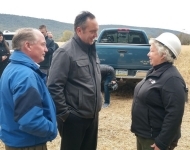 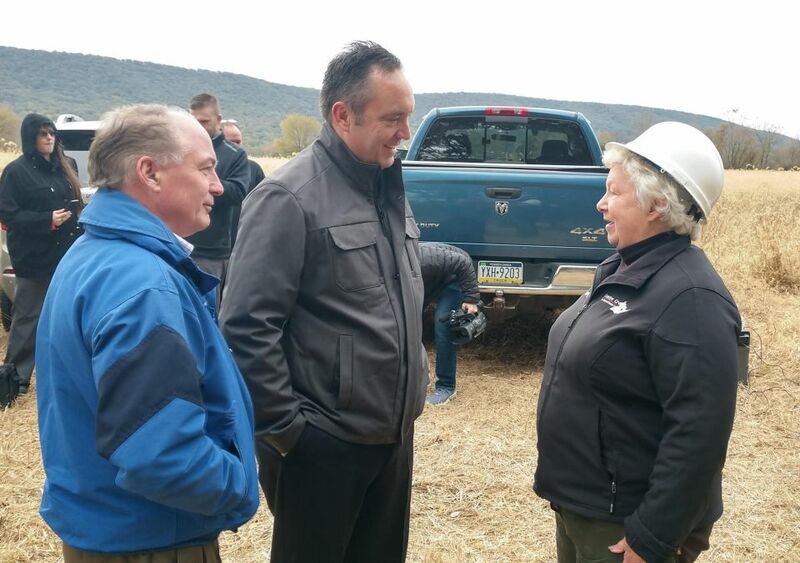 October 26, 2018 - Senator Corman, joined by State Rep. Kerry Benninghoff, speaks with Centre Care Board President, Besty Boyer, at the site preparation for the new Centre Crest Assisted Living Facility in Benner Township, Centre County. 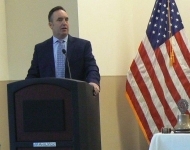 October 25, 2018 - Senator Corman addresses the attendees at the 50th Anniversary Homecoming at the Mifflin County Academy of Science and Technology. 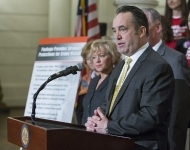 October 19, 2018 - Senator Corman participates in a press conference held by United States Senator Pat Toomey. 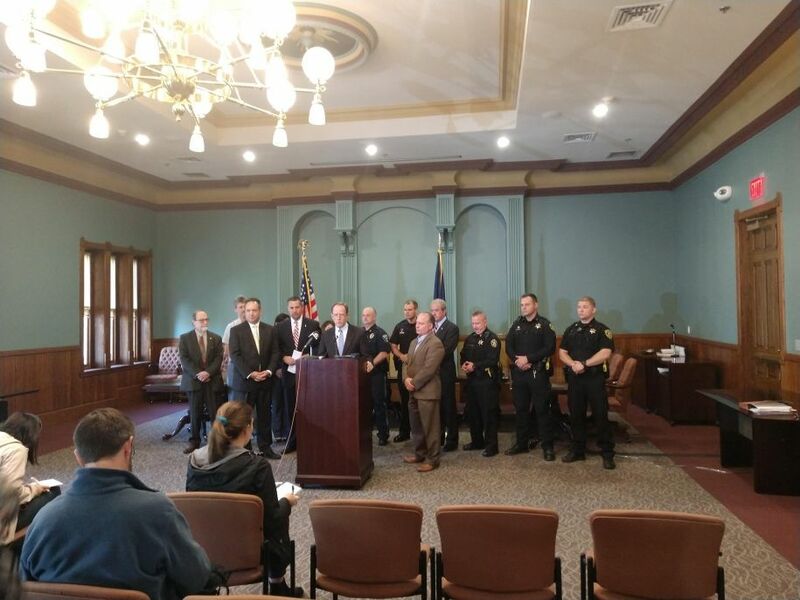 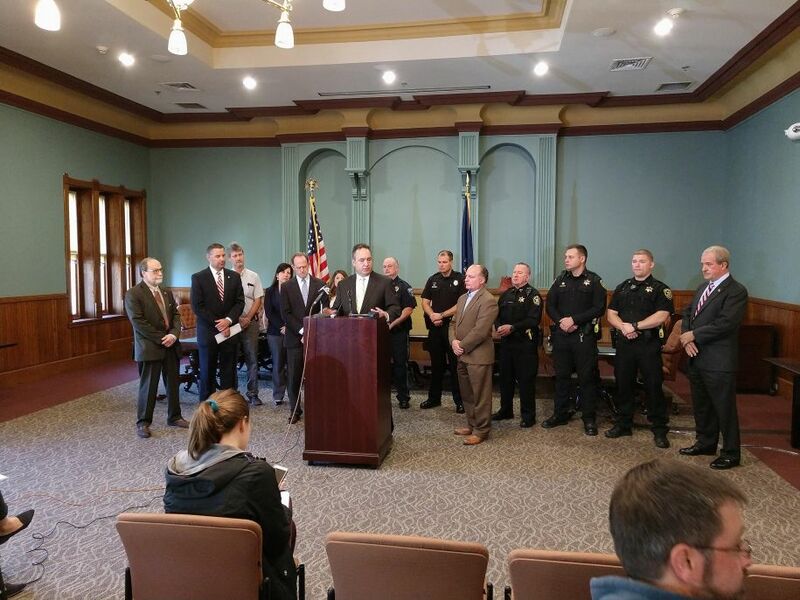 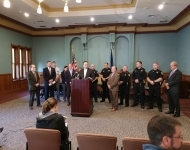 Toomey unveiled a bipartisan “Blocking Deadly Fentanyl Imports Act” in Bellefonte. 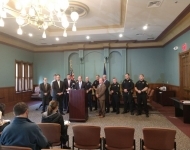 If enacted, this act would make American foreign aid contingent upon a recipient country cooperating with U.S. drug enforcement efforts relating to the reduction of fentanyl in our country. 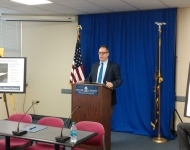 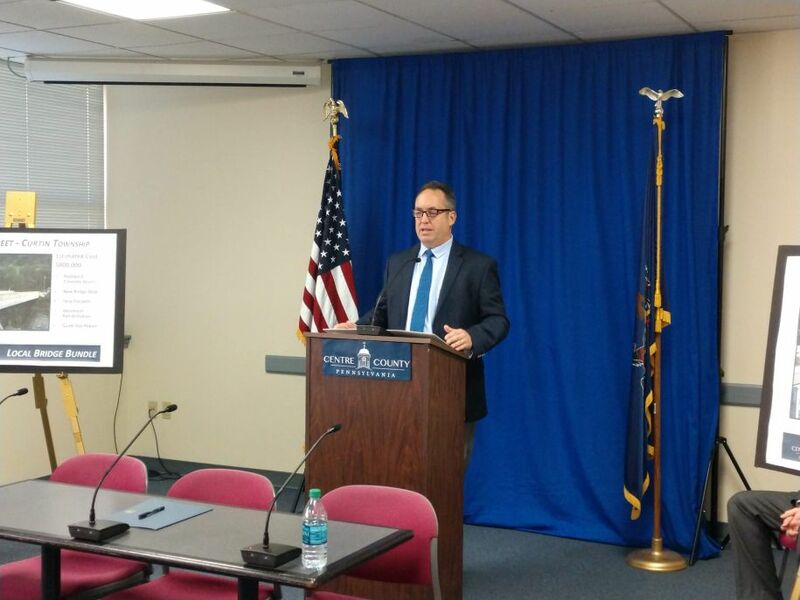 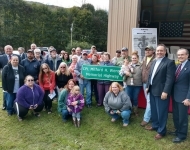 October 18, 2018 - Senator Corman speaks at a press conference sponsored by Centre County Government official accepting grant funding from the Pennsylvania Department of Transportation for the purpose of repairing three structurally deficient bridges in rural Centre County. 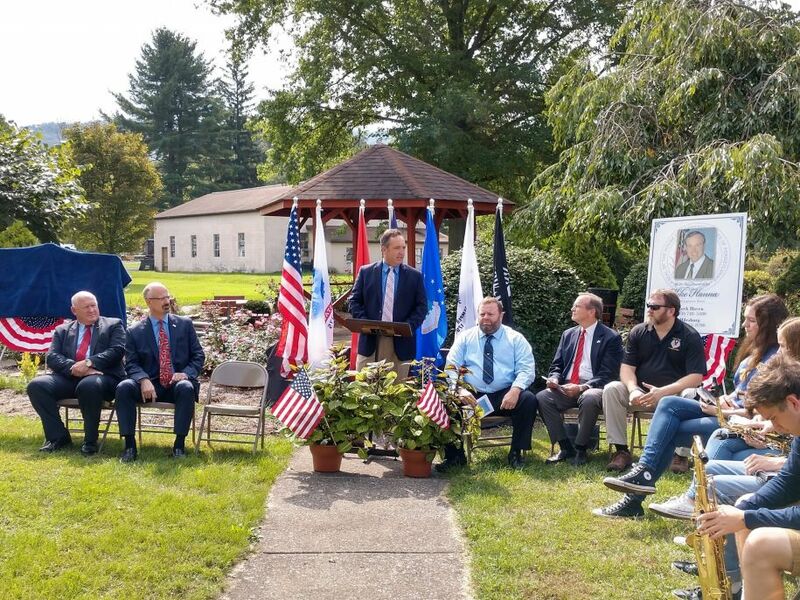 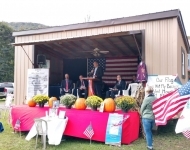 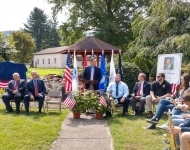 October 12, 2018 – Senator Corman speaks at the dedication of the Cpl. 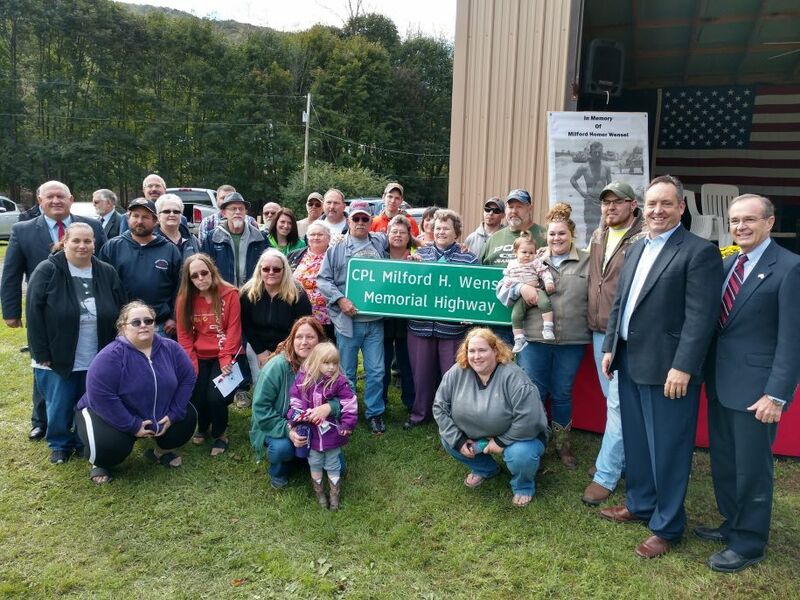 Milford H. Wensel Memorial Highway, which includes a portion of the Monument-Orviston Road in Centre and Clinton Counties. 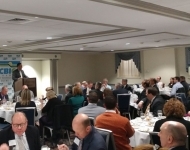 October 5, 2018 - Senator Corman speaks at the annual conference for the PA Association of Councils of Governments, held this year in State College. 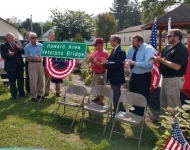 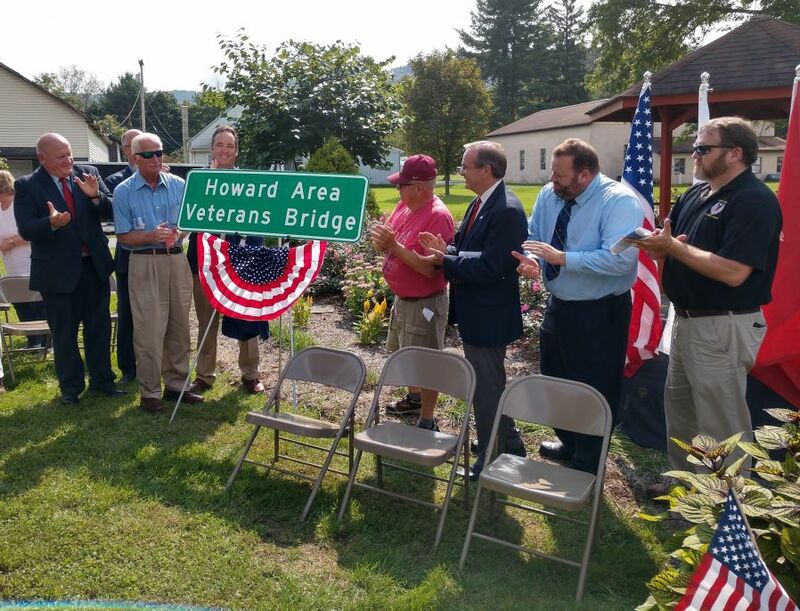 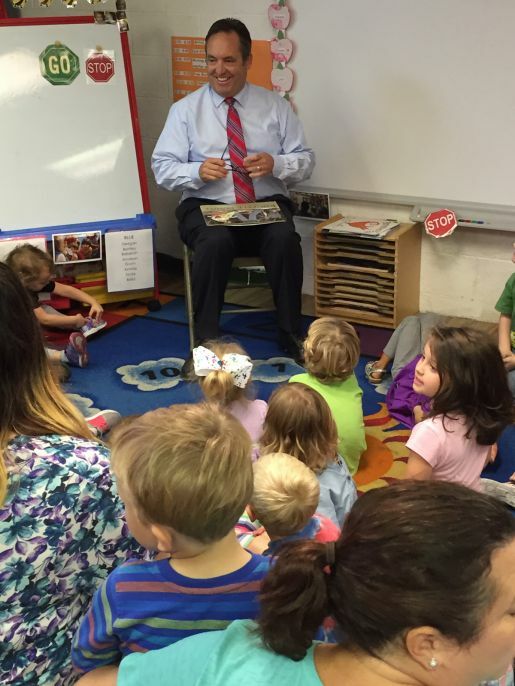 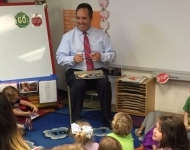 October 4, 2018 - Senator Corman reads to preschoolers at the Grace Covenant Church preschool in Lewistown, PA.
September 19, 2018 - Senator Corman attends the ceremony dedicating the SR26 Bridge over Sayers Lake as the “Howard Area Veterans Bridge. 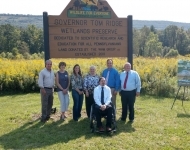 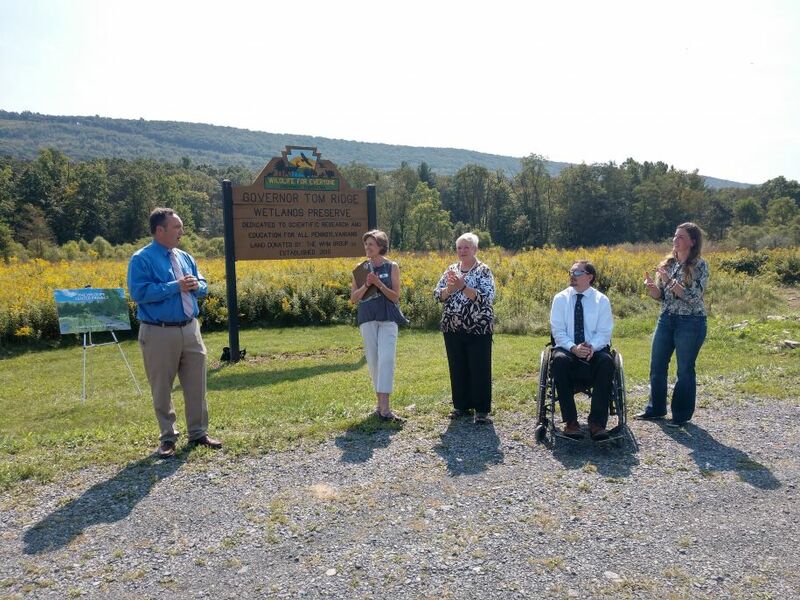 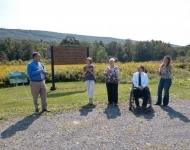 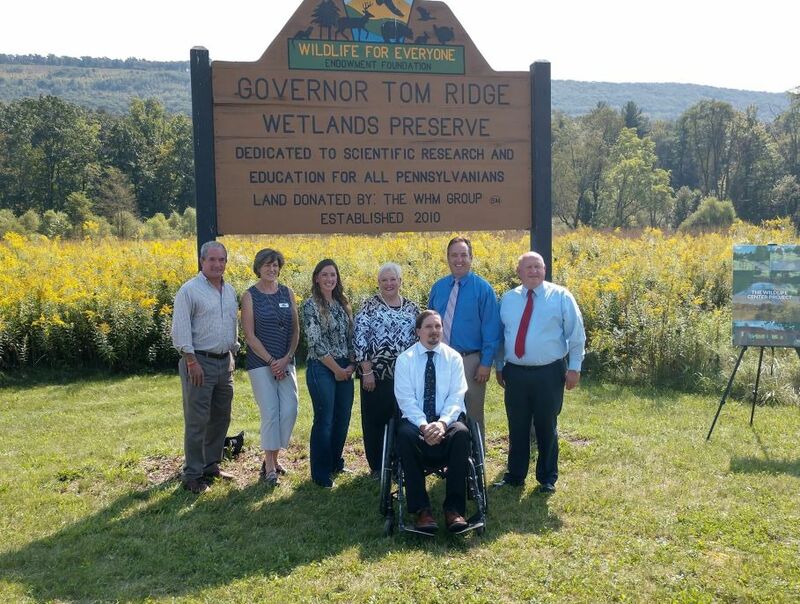 September 19, 2018 - Senator Corman announces a $250,000 grant award for phase one of the Wildlife for Everyone Endowment Foundation’s ADA compliant trail and wetlands education center project. 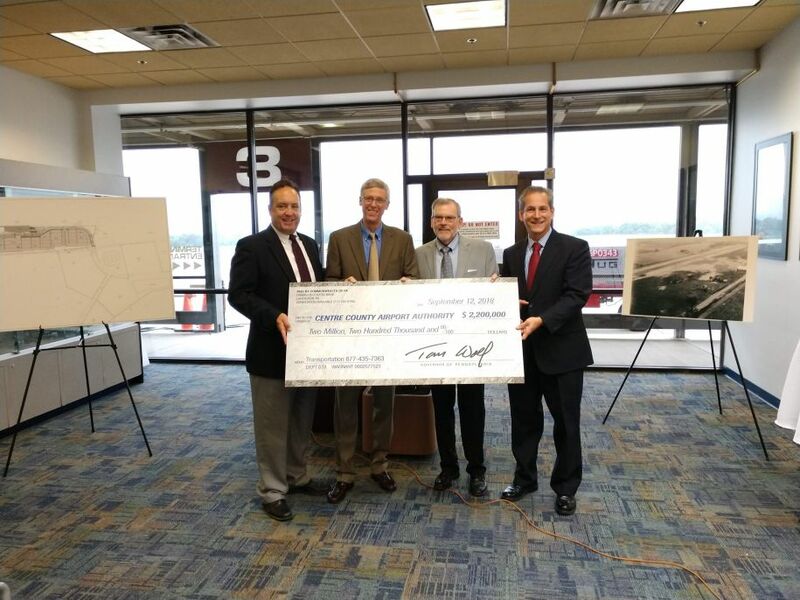 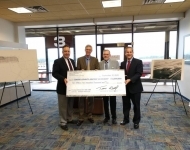 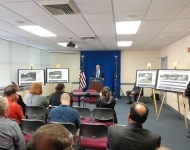 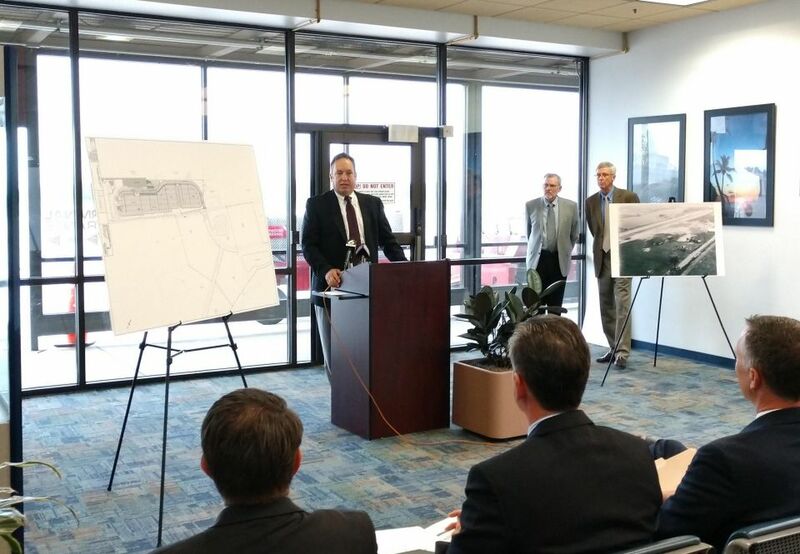 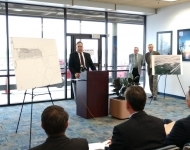 September 12, 2018 - Senator Corman announces grant funding for the University Park Airport enhancement project. 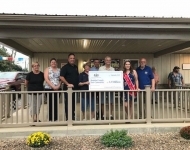 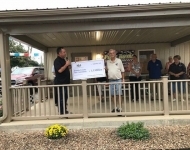 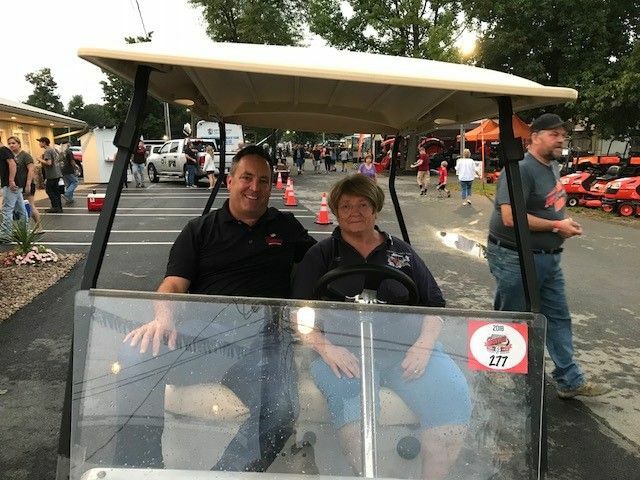 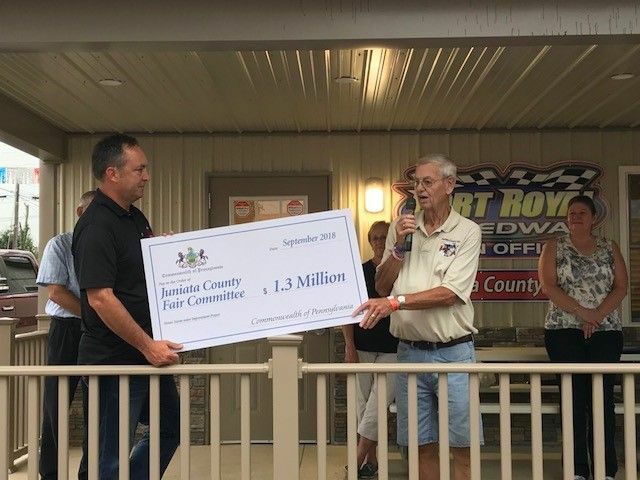 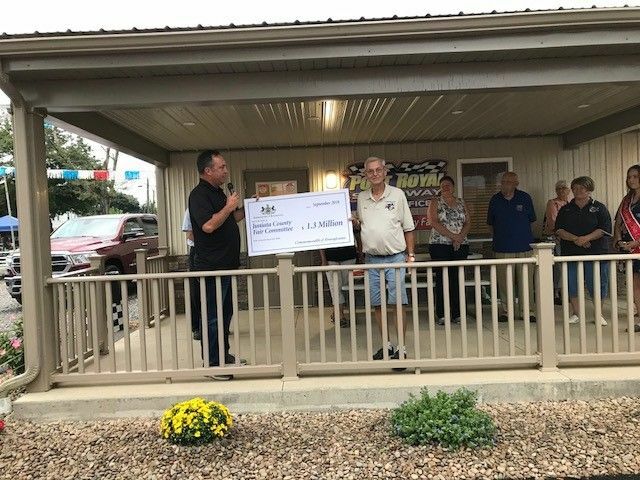 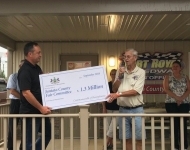 September 7, 2018 - Senator Corman announced the Juniata County Fair Committee will receive $1.3 million in state funds for infrastructure improvements to the fairgrounds. 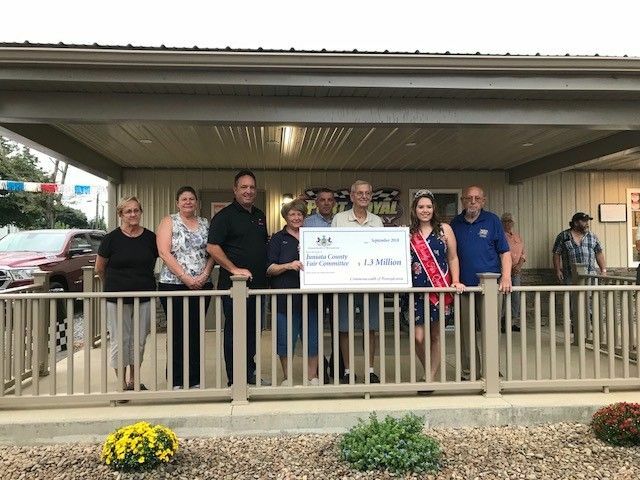 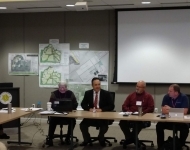 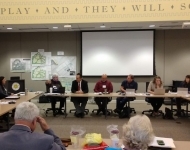 The grant will be used to address some important infrastructure issues such as storm water runoff, a handicap tunnel and the convenience of restrooms. 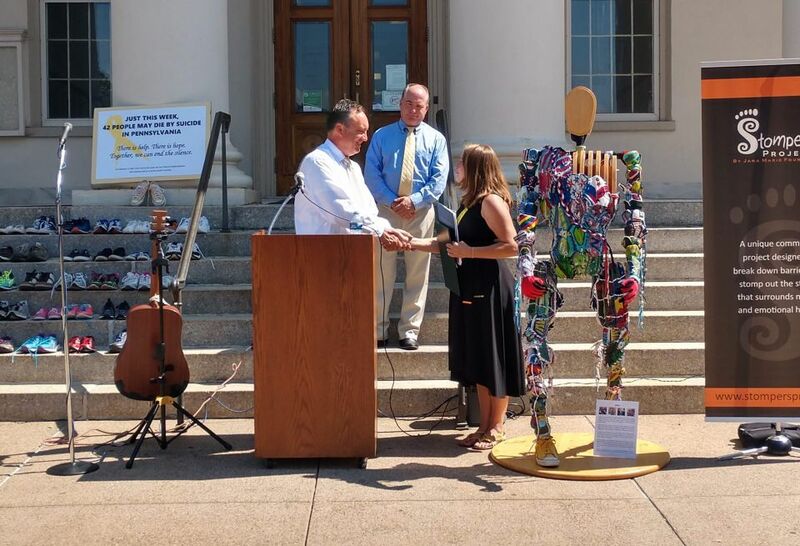 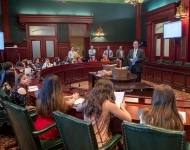 September 4, 2018 - Senator Corman presents Senate Resolution 396 at the annual Suicide Prevention Rally, hosted by the Jana Marie Foundation and the Centre County Suicide Prevention Task Force. 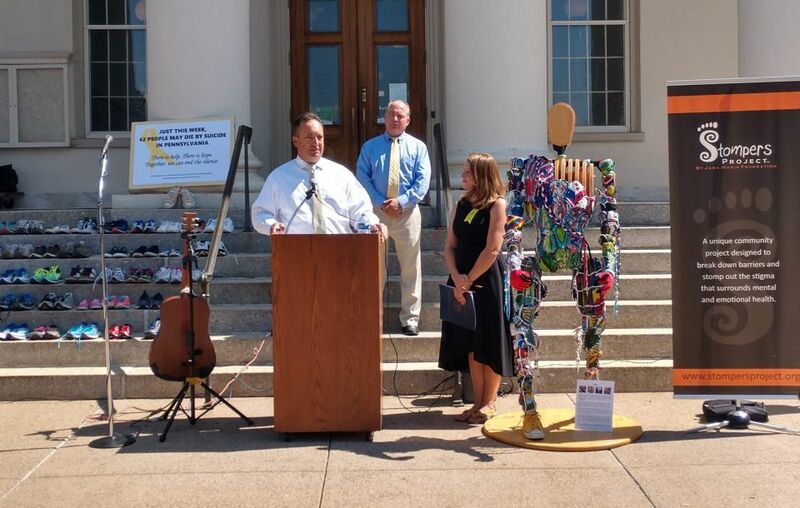 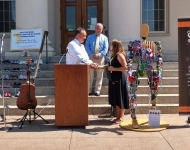 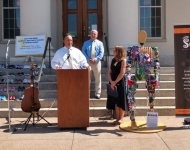 SR396 names September as Suicide Awareness Month in Pennsylvania. 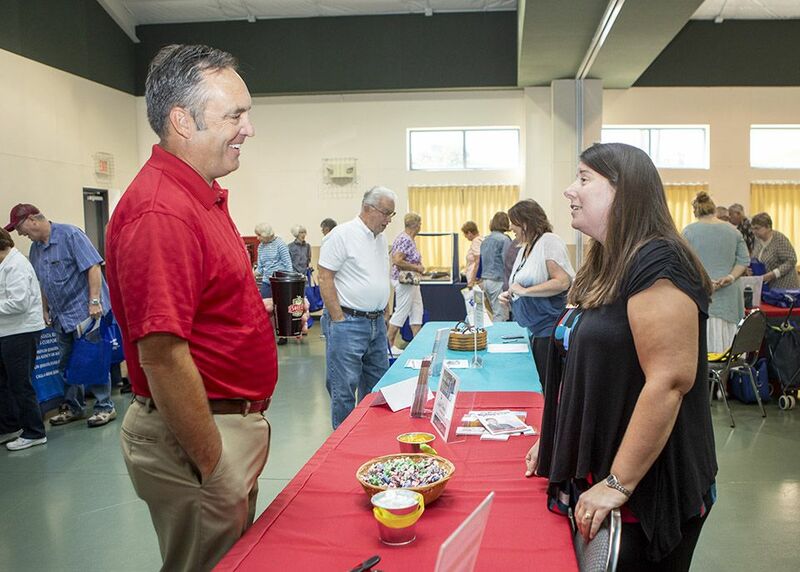 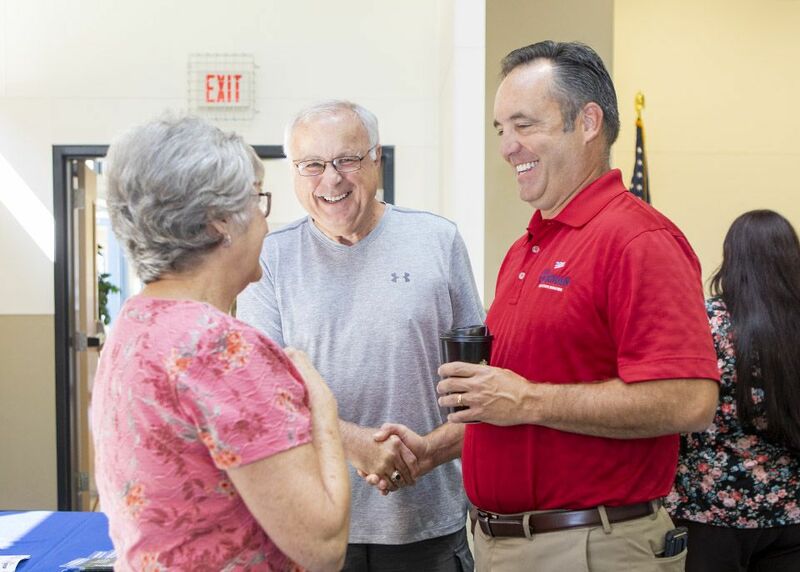 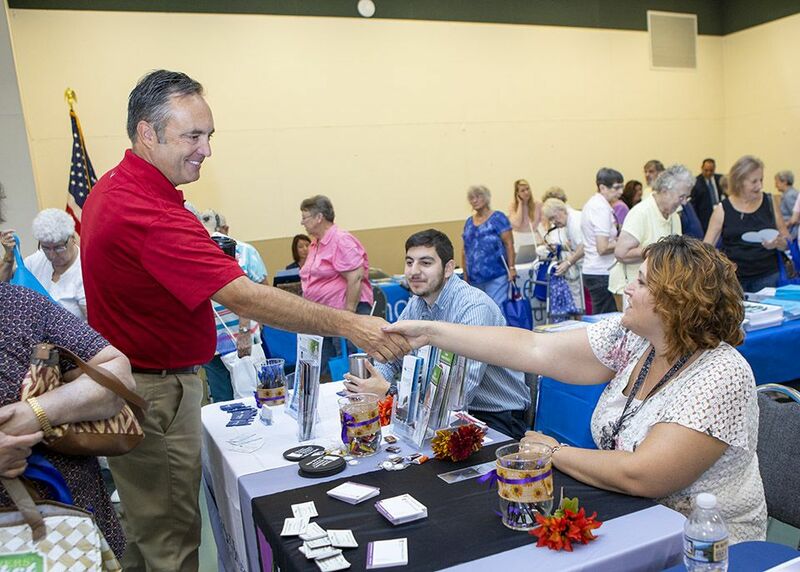 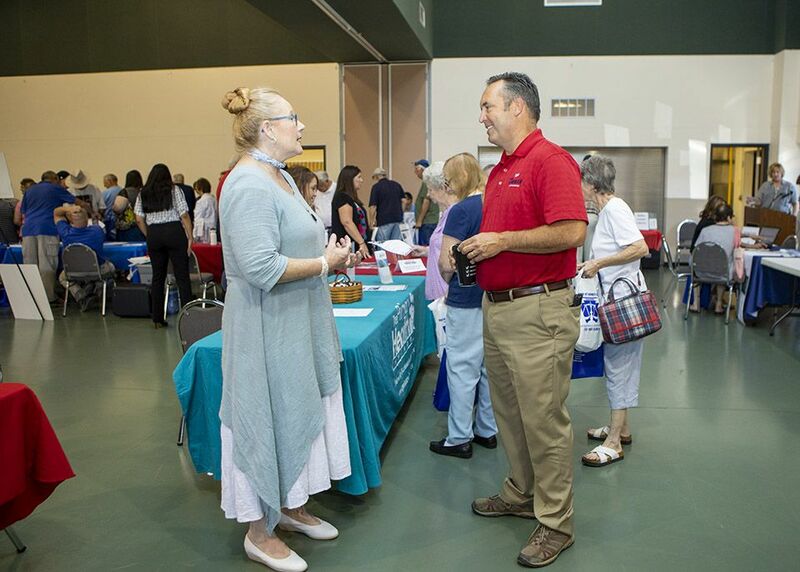 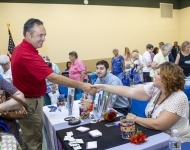 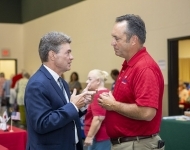 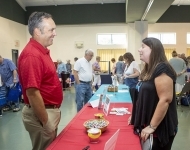 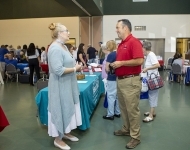 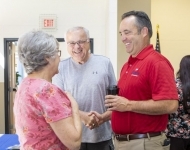 August 23, 2018 – Senator Corman holds his annual Senior Expo at the Community Center in Lewistown. 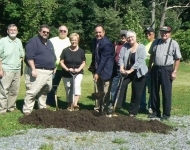 June 15, 2018 - Senator Corman participates in the groundbreaking for the East Waterford Municipal Authority Tuscarora Township Sewer Plant upgrade project. 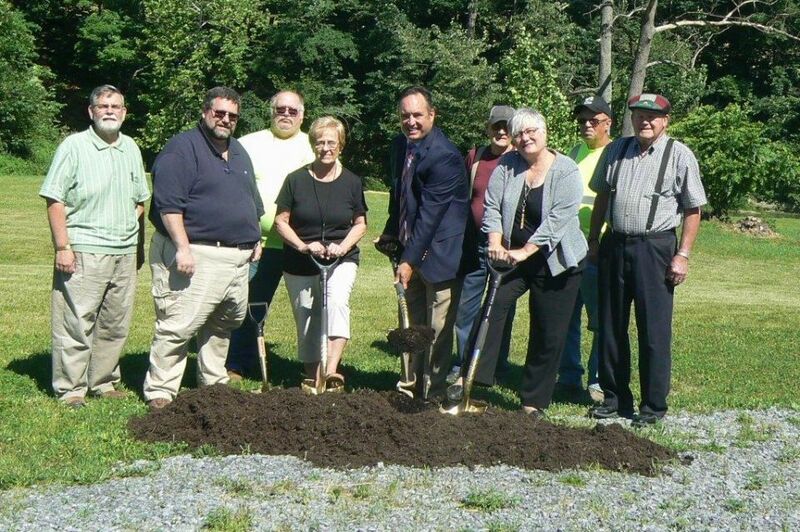 June 14, 2018 - Senator Corman participates in the installation ceremony for the new 500,000 water tank at the Mifflintown Municipal Authority. 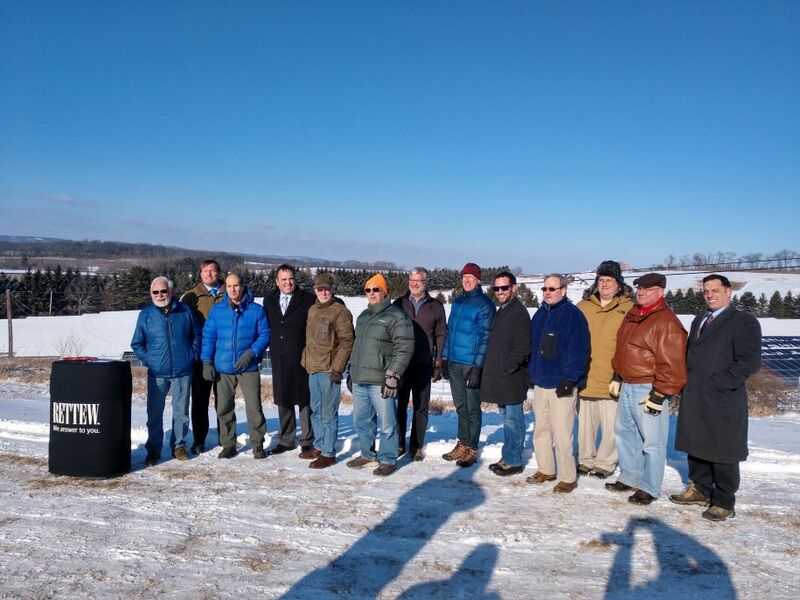 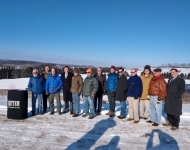 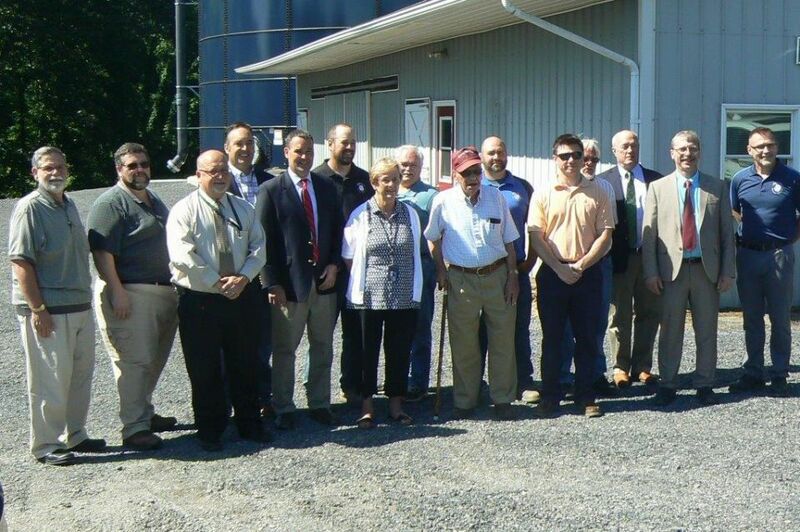 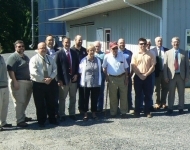 The DCED funding for the tank was secured through the assistance of Senator Corman and State Representative Adam Harris. 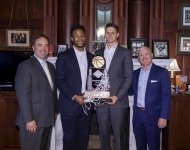 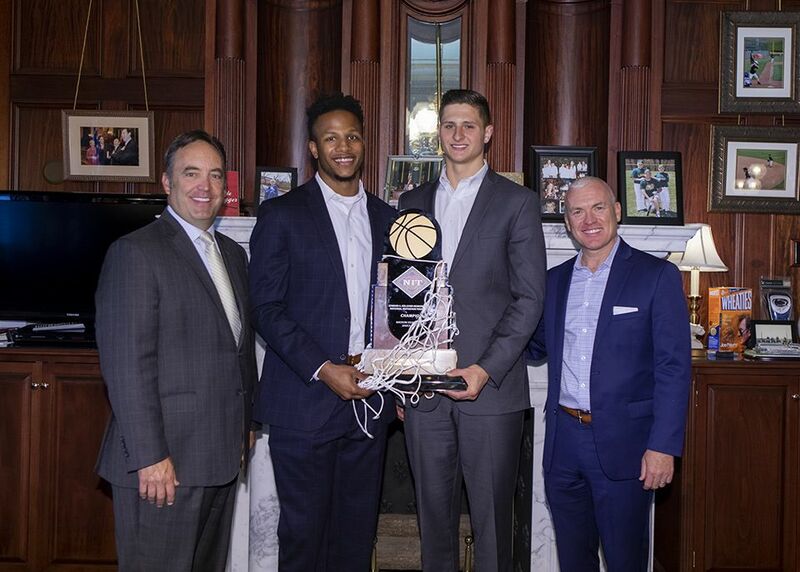 June 12, 2018 - Senator Corman greets the Penn State Men’s Basketball Team and congratulates them on winning the 2018 NIT Championship. 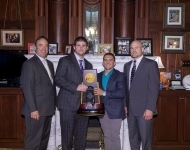 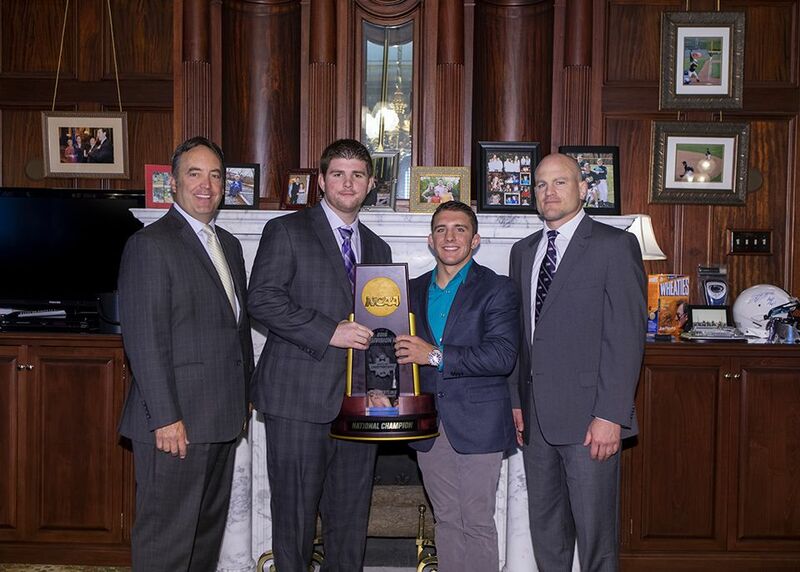 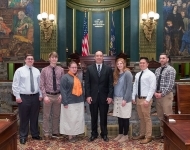 June 12, 201 -: Senator Corman meets with the Penn State Wrestling Team and congratulates them on winning the 2018 NCAA National Championship. 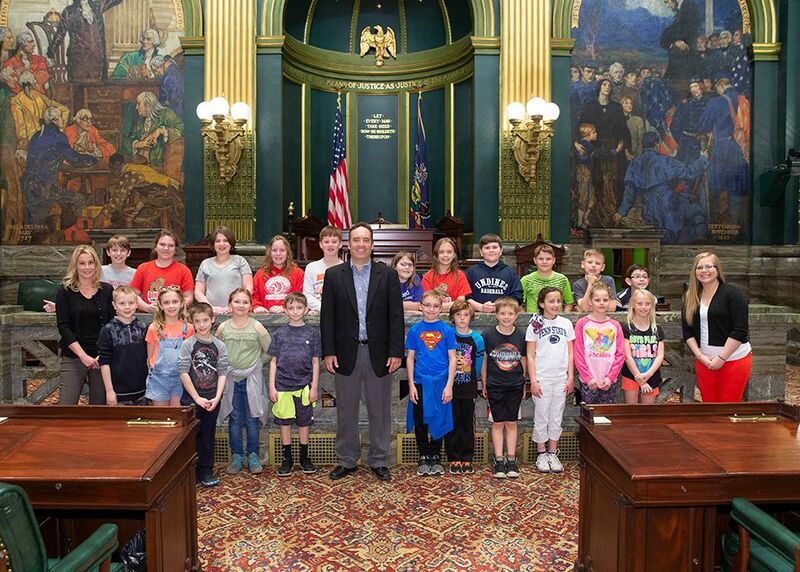 May 28, 2018 - Senator Corman stopped for a photo with members of the State College Girls Scouts Service Unit 416 at the Boalsburg Memorial Day Ceremonies. 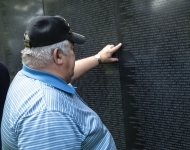 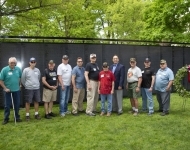 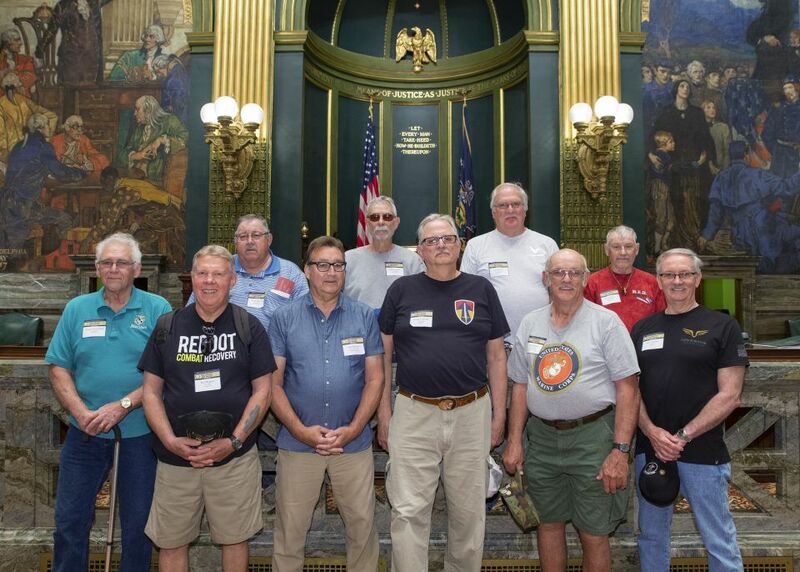 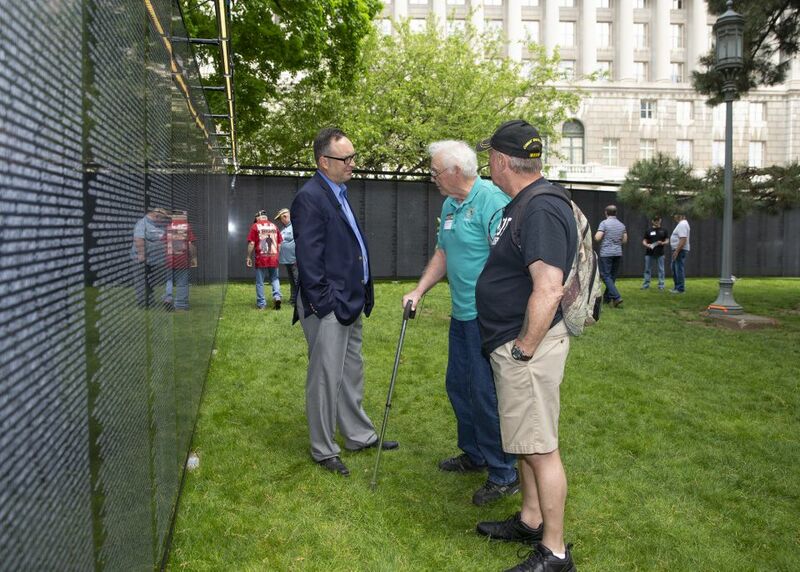 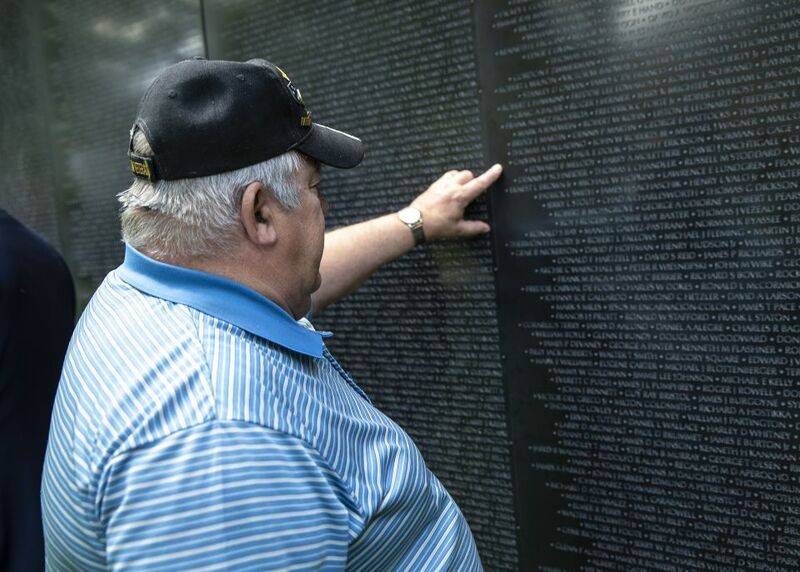 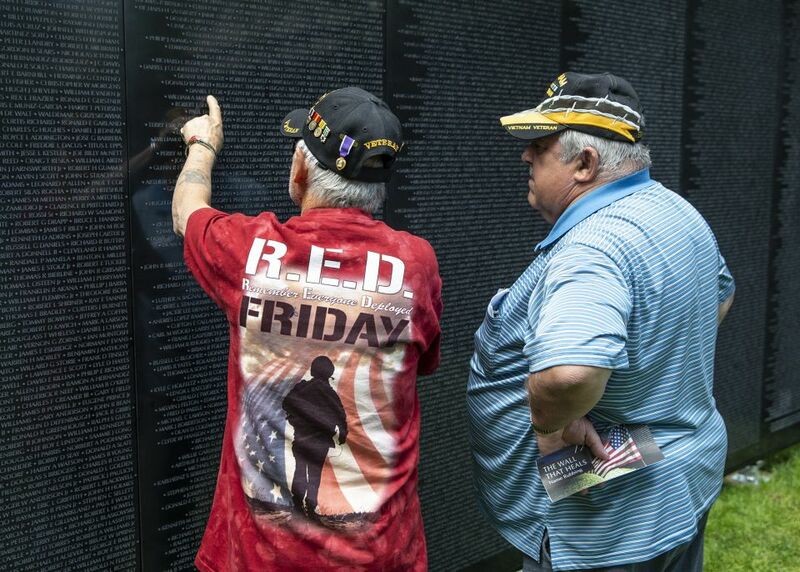 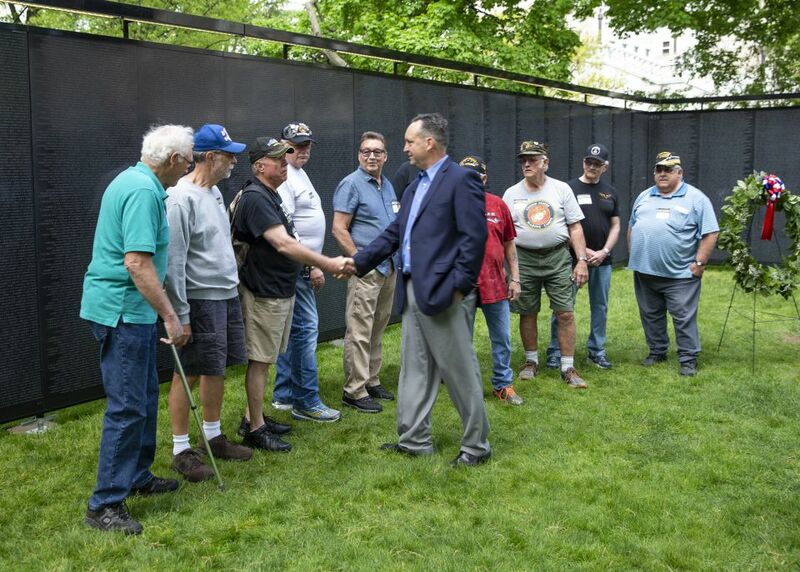 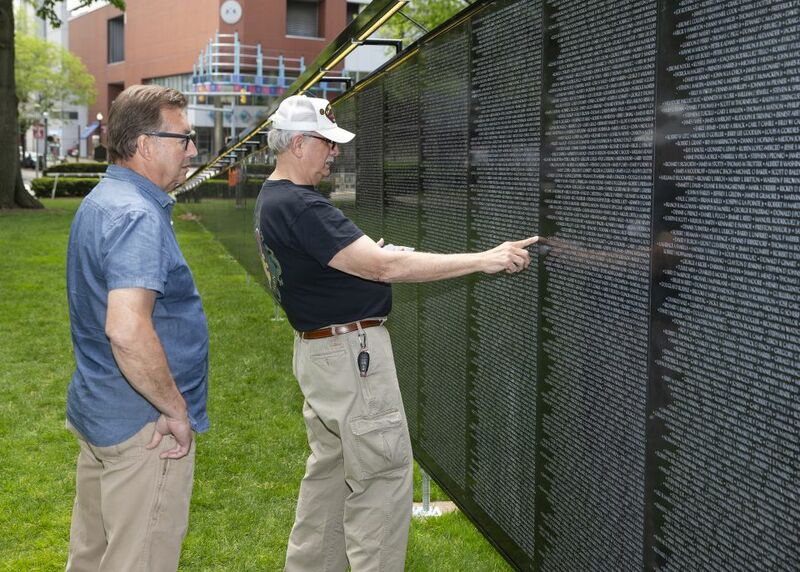 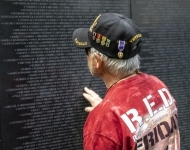 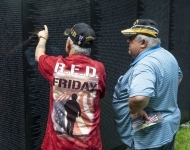 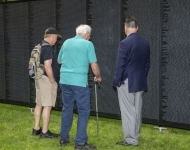 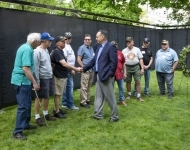 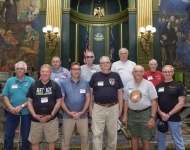 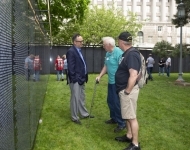 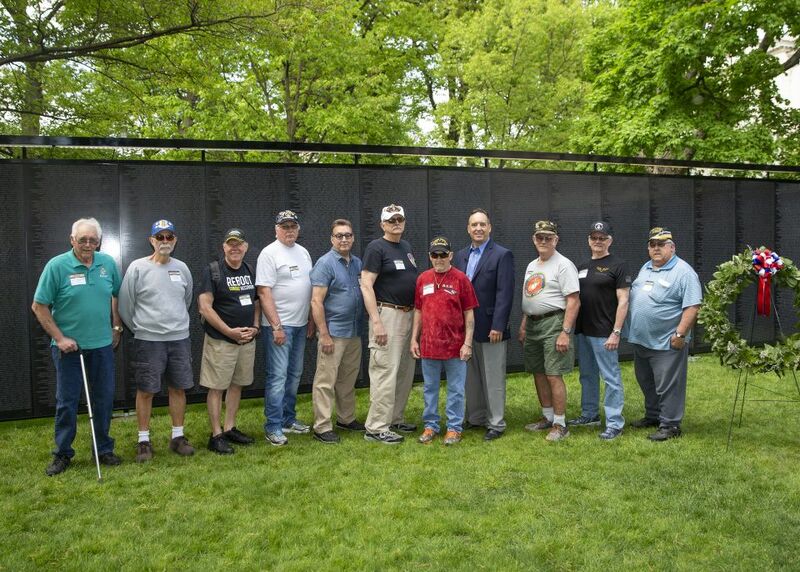 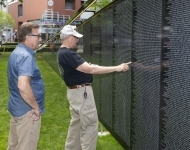 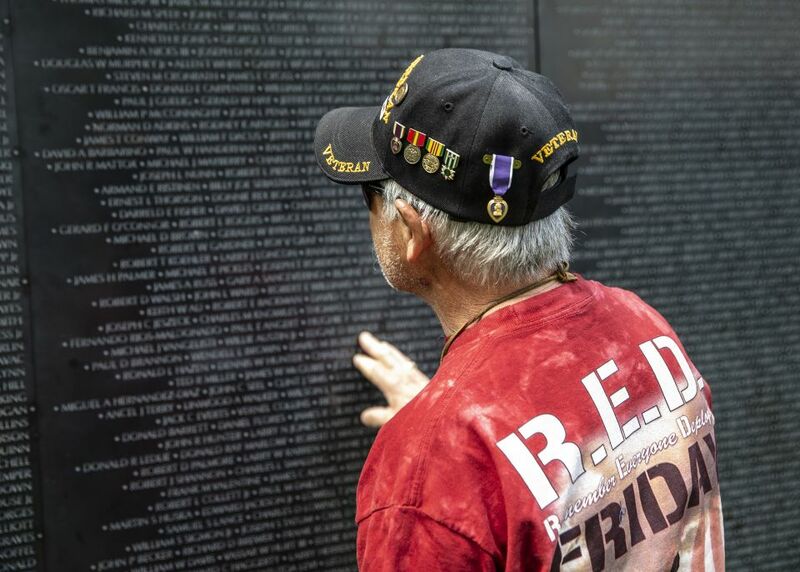 May 11, 2018 - Honored to host some 34th District Veterans to the Wall That Heals when it stopped in Harrisburg. 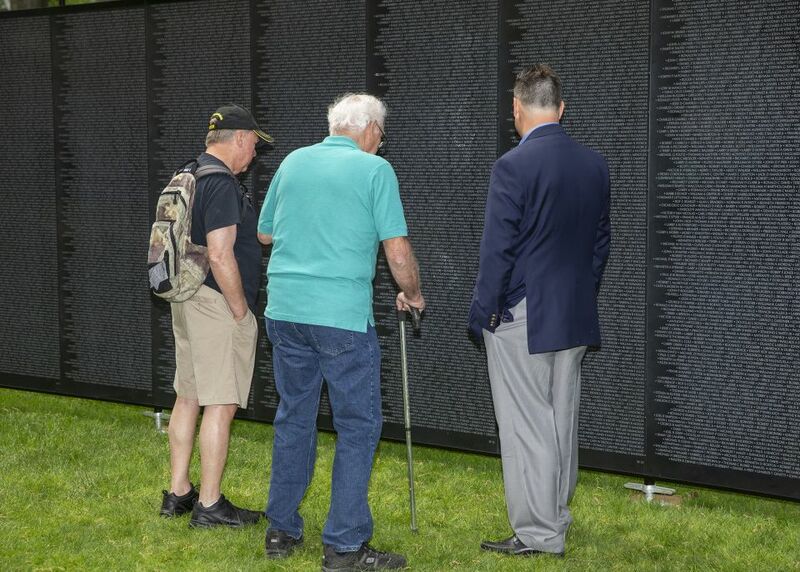 It was a moving and touching experience. 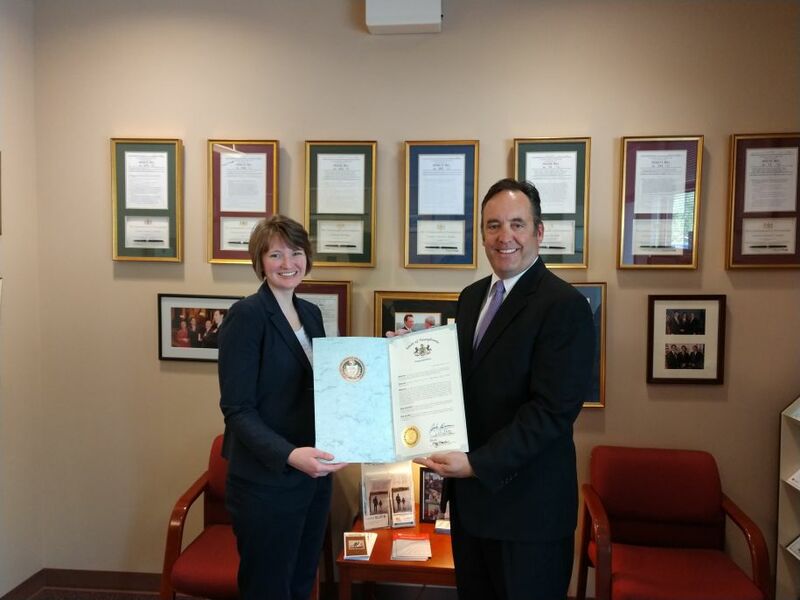 May 9, 2018 - Senator Corman presents a Senate Citation to Interfaith Human Services Executive Director Wendy Vinhage on the occasion of the organization’s 50th Anniversary. 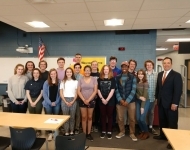 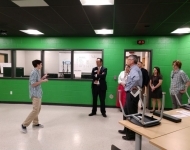 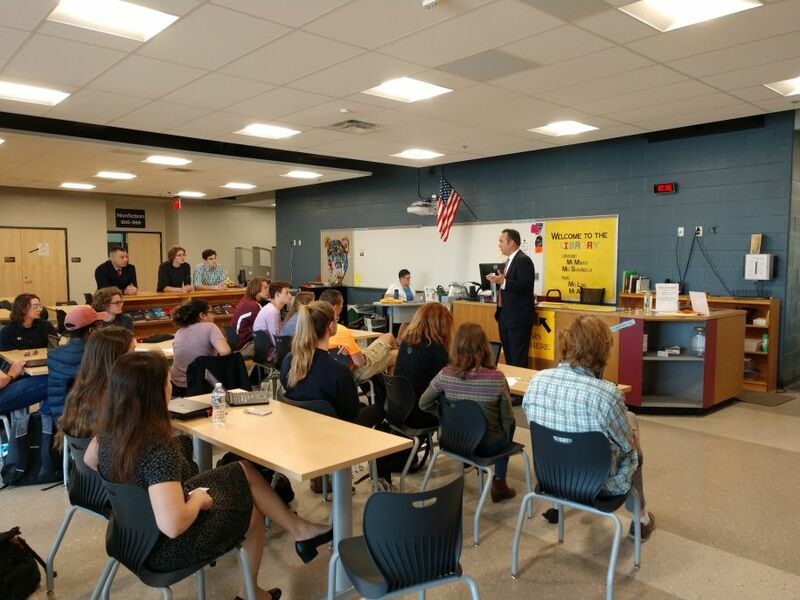 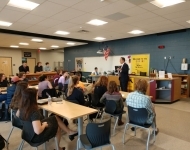 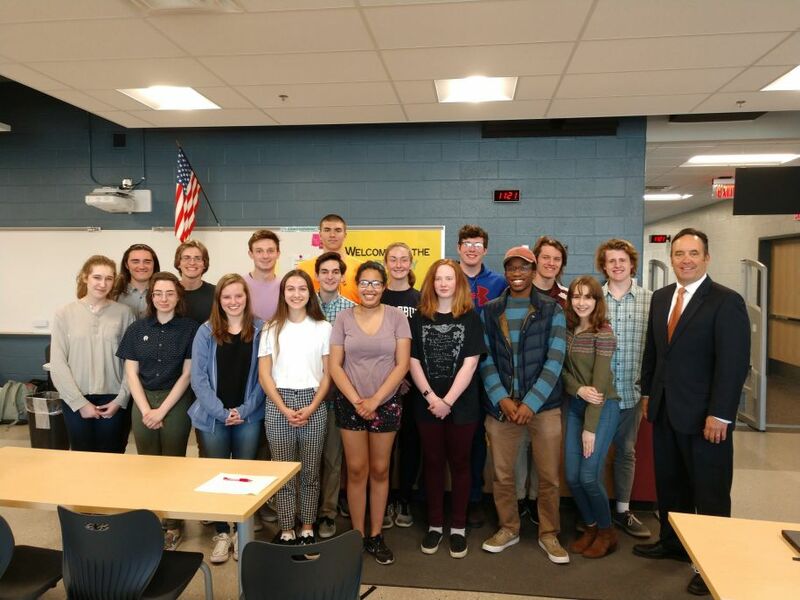 May 8, 2018 - Senator Corman meets with student leaders at the State College Area High School for a tour of the new high school complex and a discussion on government and civics. 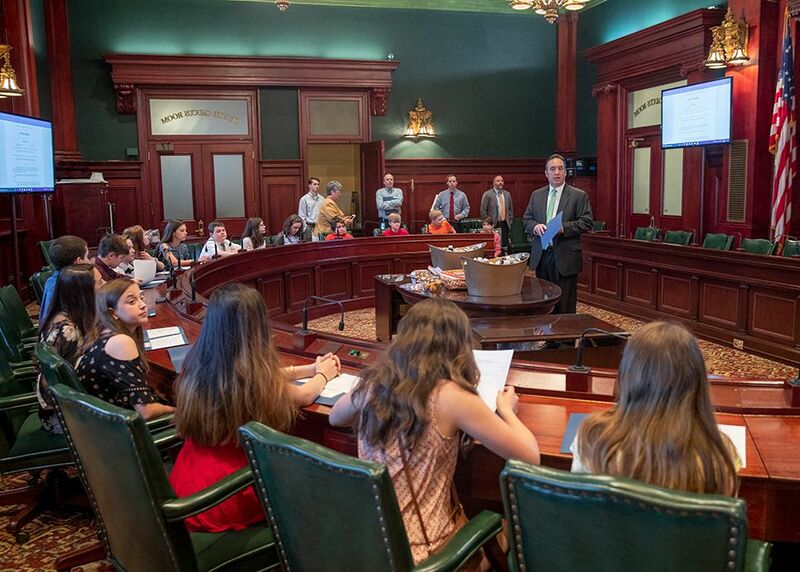 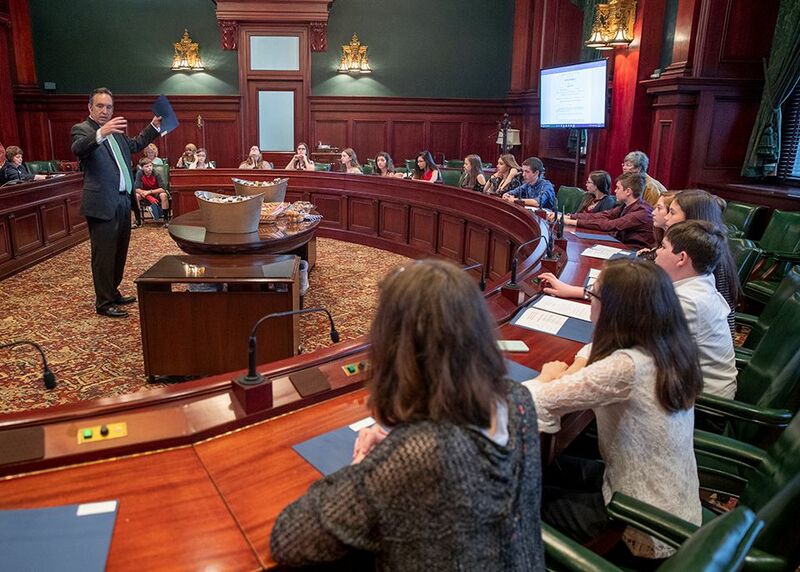 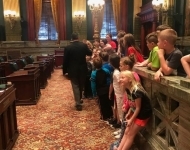 May 7, 2018 - Senator Corman was joined in Harrisburg by the Bellefonte Area Middle School student council where they took on the role of Senator for the day. 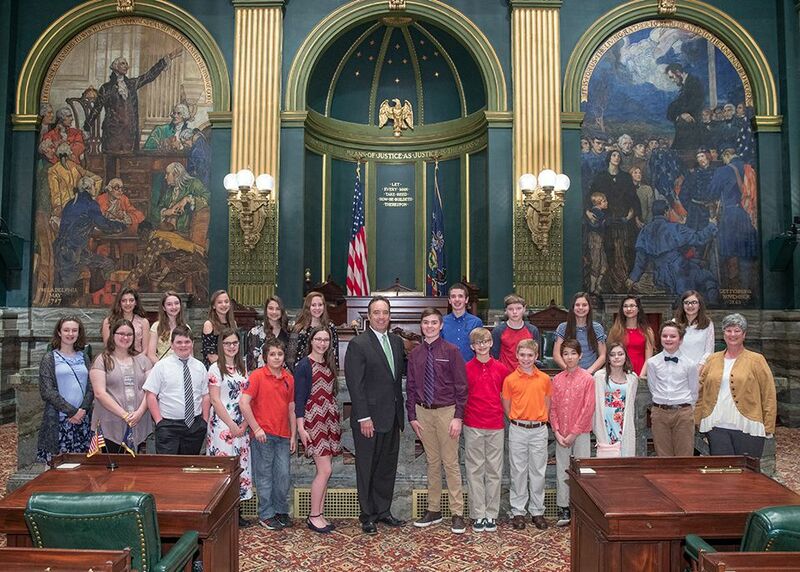 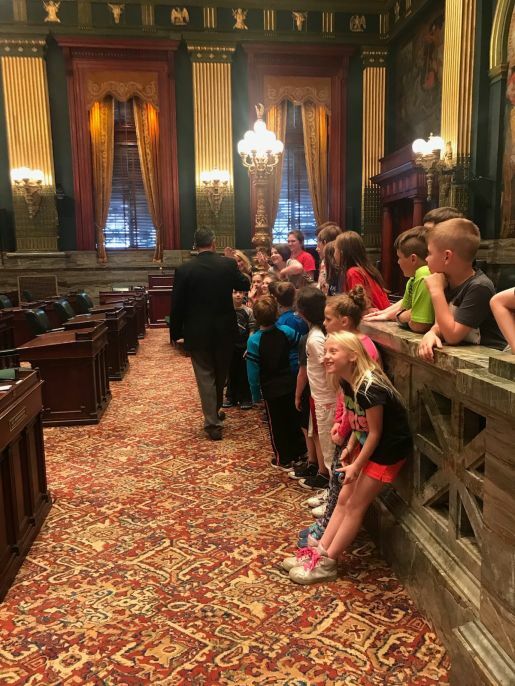 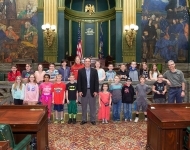 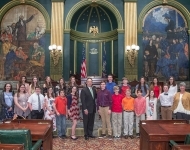 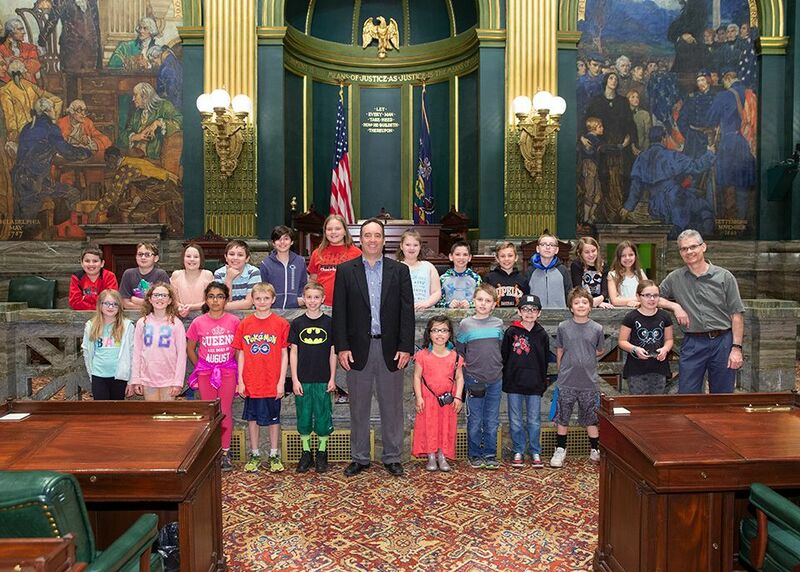 May 1, 2018 - Senator Corman joins students from the Benner Township Elementary School on the Senator Floor. 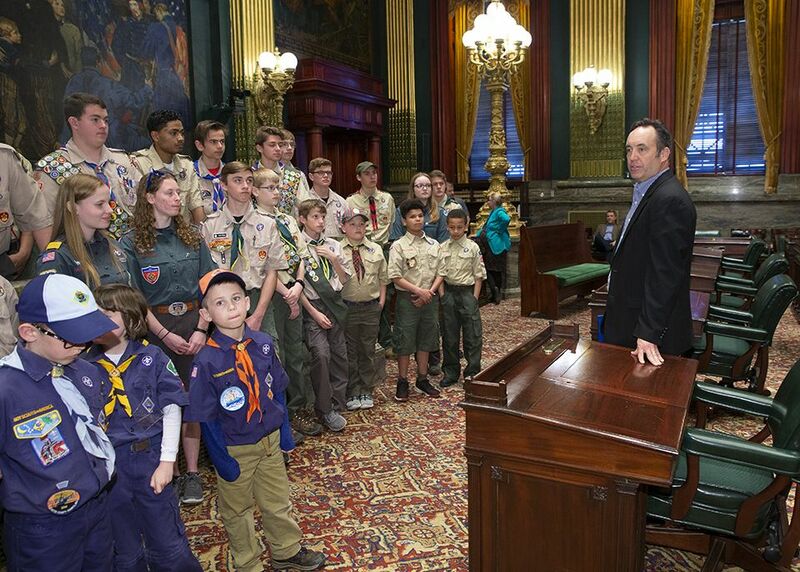 May 1, 2018 - Senator Corman addresses the Boy Scouts of America – Commonwealth of Pennsylvania during their first annual Report to the Commonwealth at the State Capitol. 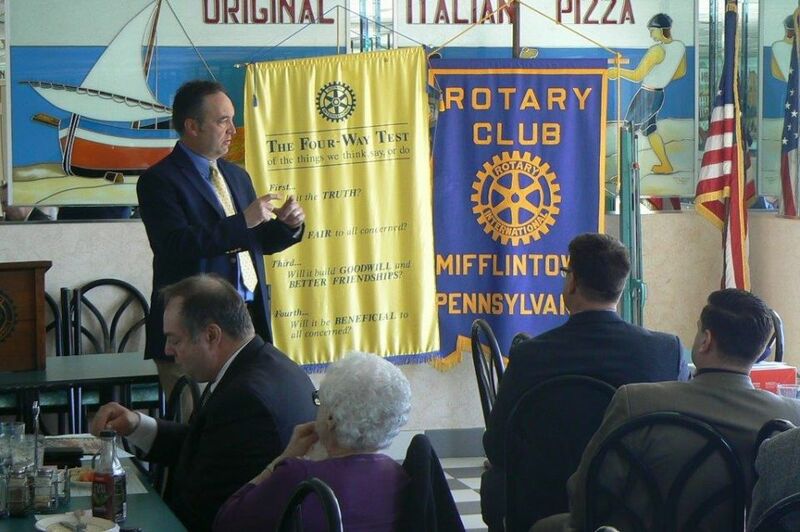 April 26, 2018 - Senator Corman speaks at the Mifflintown Rotary Meeting. 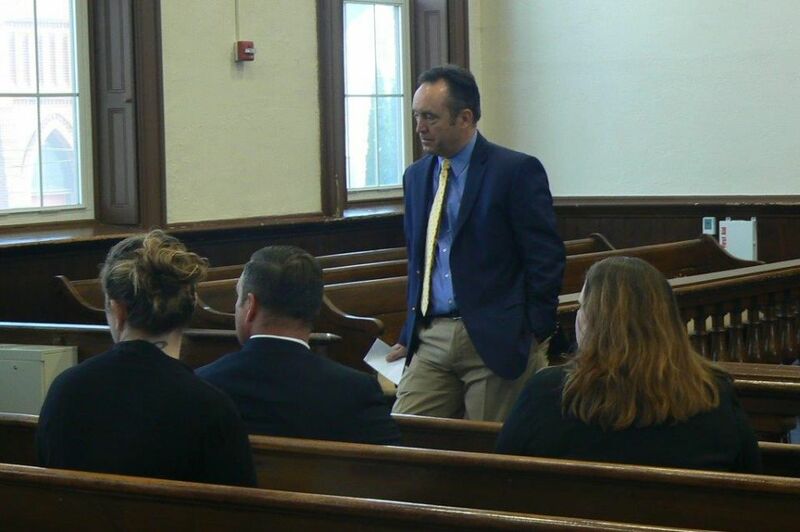 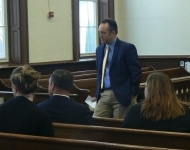 April 26, 2018 - Senator Corman speaks with Juniata County Government Officials and staff and other offices at the Juniata County Courthouse. 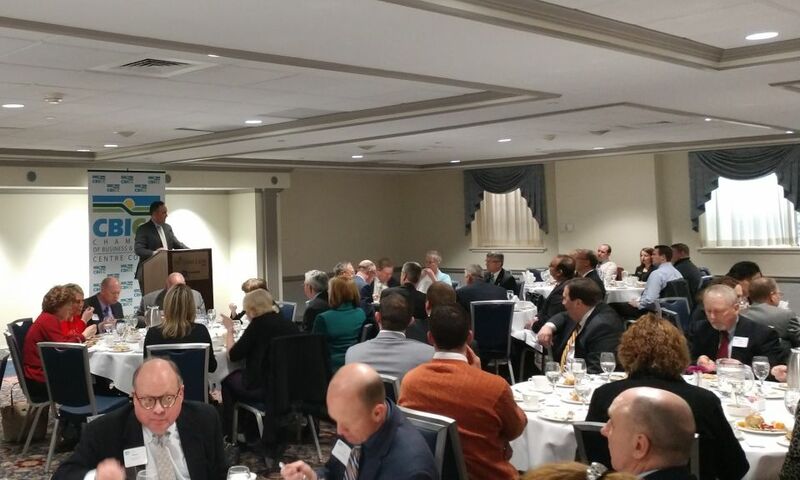 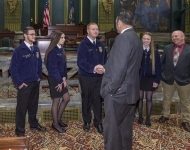 April 17, 2018 - Senator Corman addresses the Pennsylvania Farm Bureau in Harrisburg. 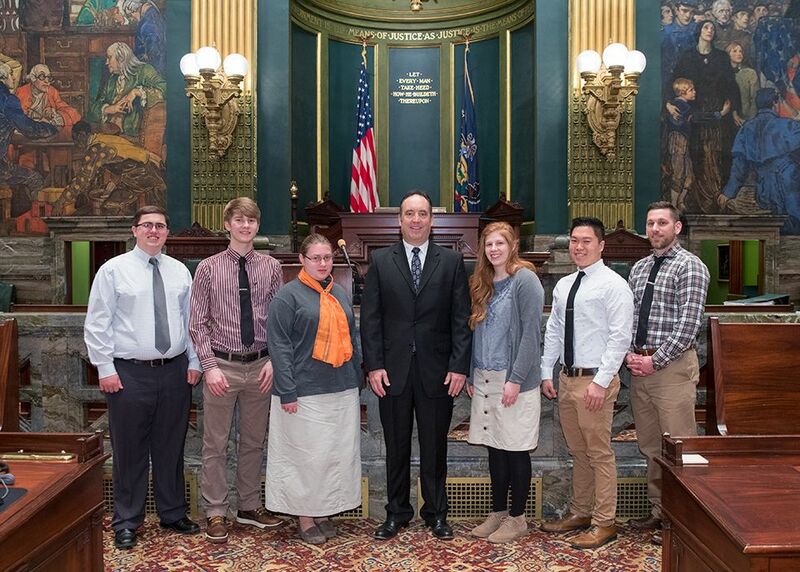 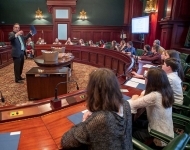 April 17, 2018 - Senator Corman visits with the Government class from Mifflin County Christian Academy at the State Capitol. 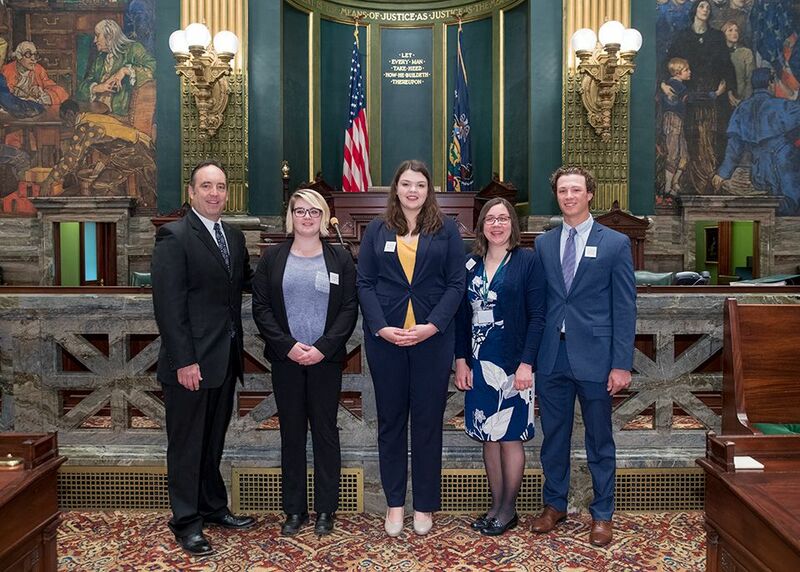 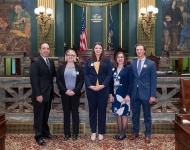 April 17, 2018 - Senator Corman visits with the Juniata College Politics Department during their visit to the Capitol. 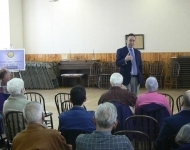 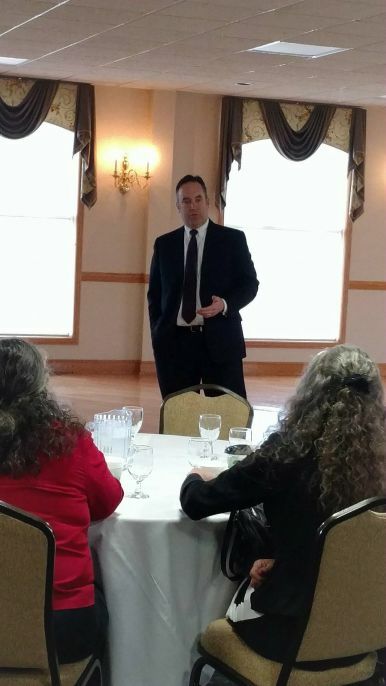 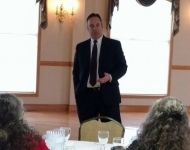 April 11, 2018 - Senator Corman interacting with constituents at his annual Mifflin County Town Hall meeting. 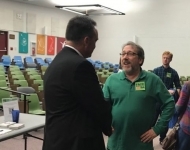 April 10, 2018 - Senator Corman interacts with constituents at the annual Juniata County Town Hall. 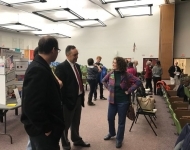 2018 - Senator Corman interacts with constituents at the annual Juniata County Town Hall. 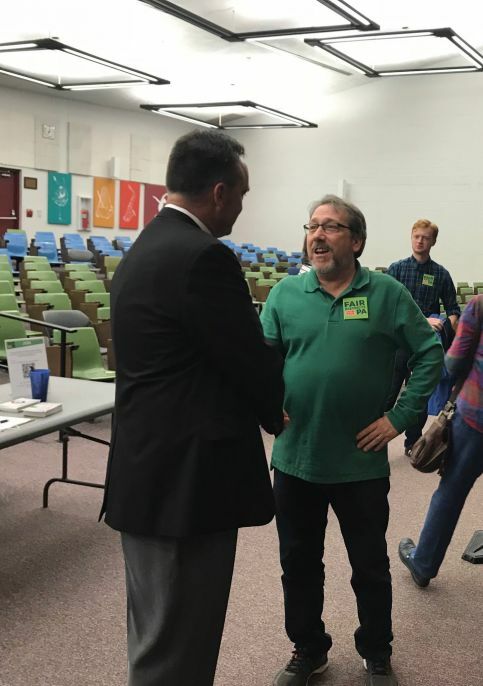 April 10, 2018 - Senator Corman interacts with constituents at the annual Juniata County Town Hall. 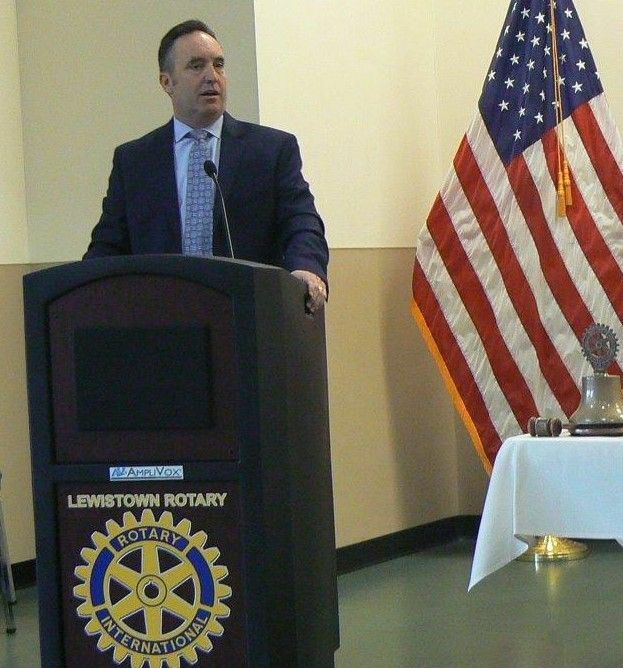 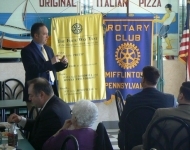 2018: Senator Corman as the featured speaker at the Rotary Club of Lewistown. 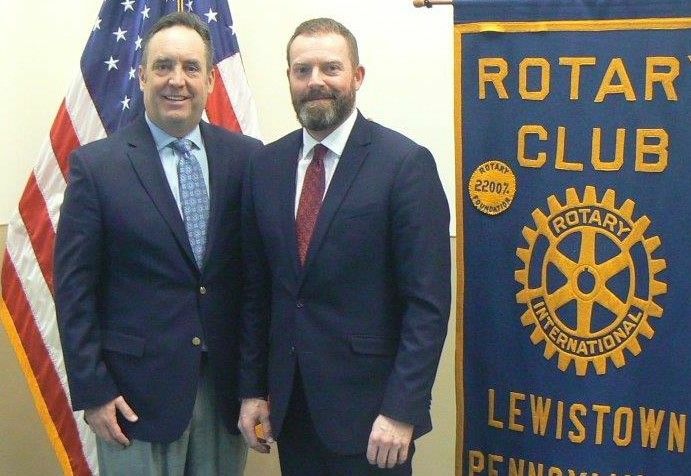 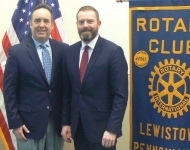 April 10, 2018 - Senator Corman as the featured speaker at the Rotary Club of Lewistown. 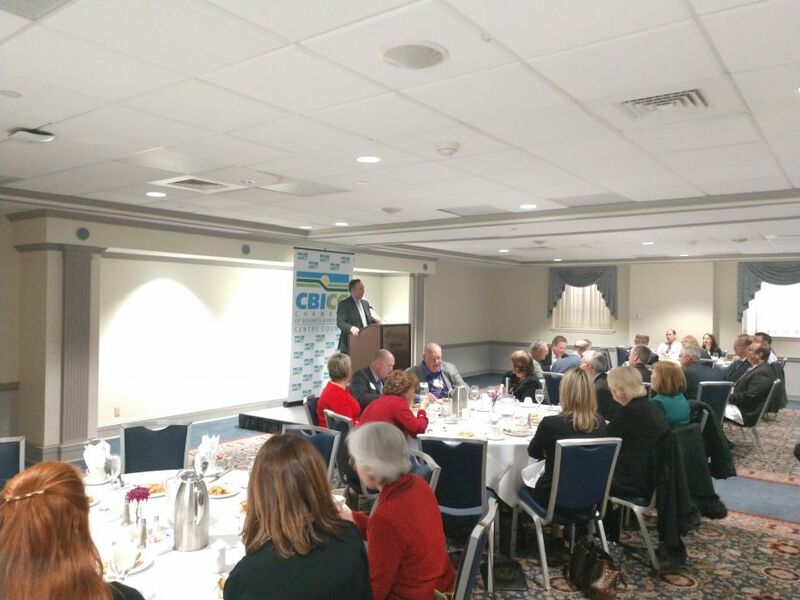 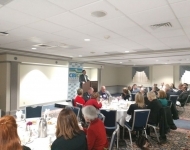 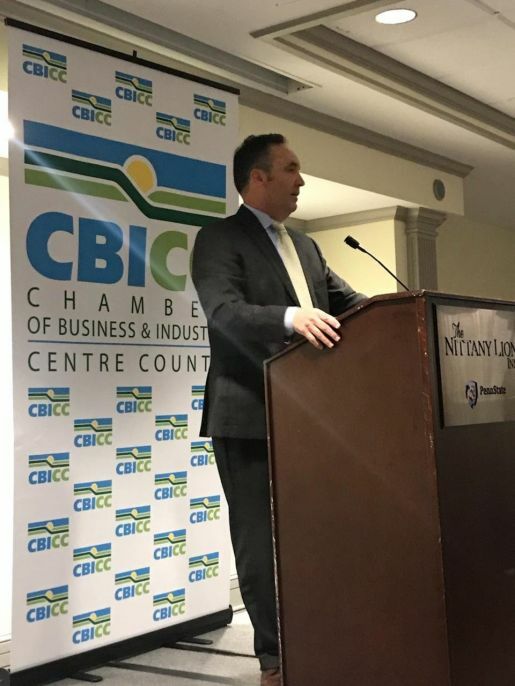 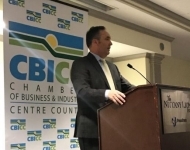 April 9, 2018 - Senator Corman speaking on legislative priorities at the Chamber of Business and Industry of Centre County luncheon. 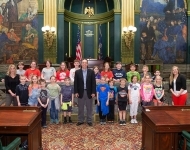 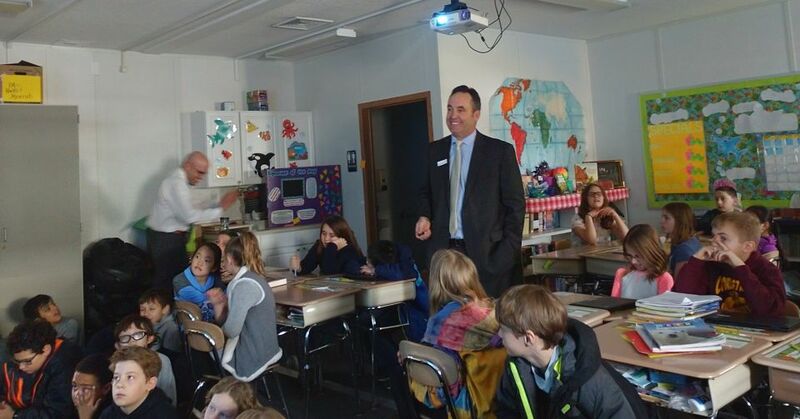 April 9, 2018 - Senator Corman visits the fourth grade classes at Corl Street Elementary School in State College. 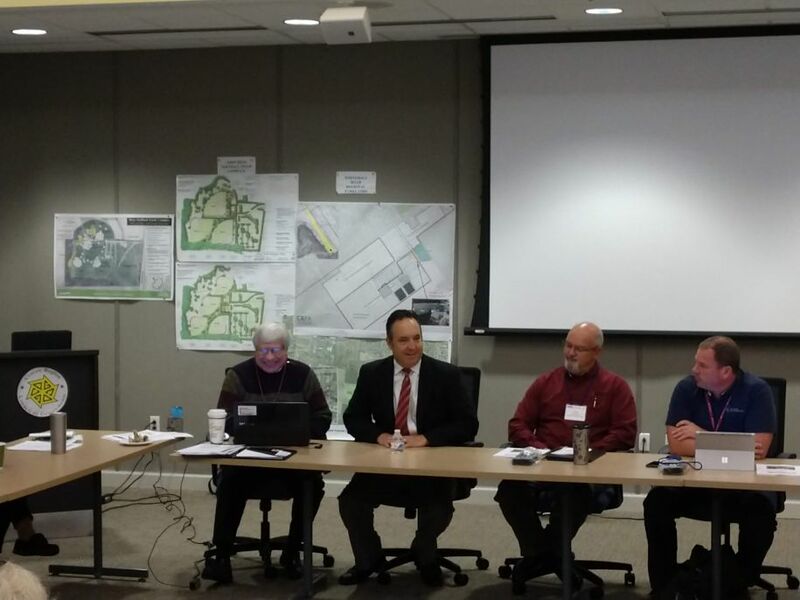 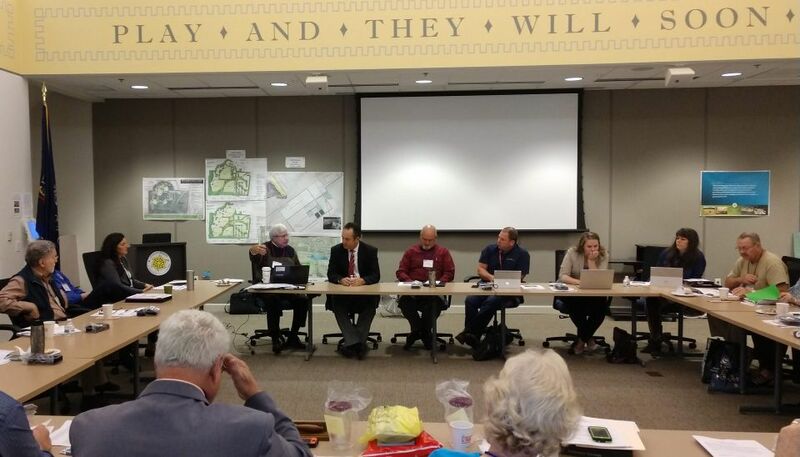 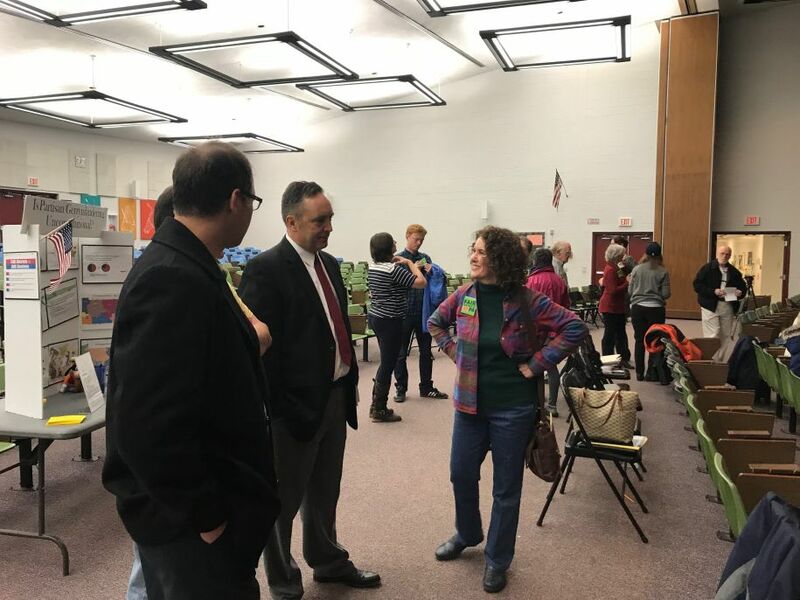 March 28, 2018 - I attended the Fair Districts PA town hall meeting in State College. 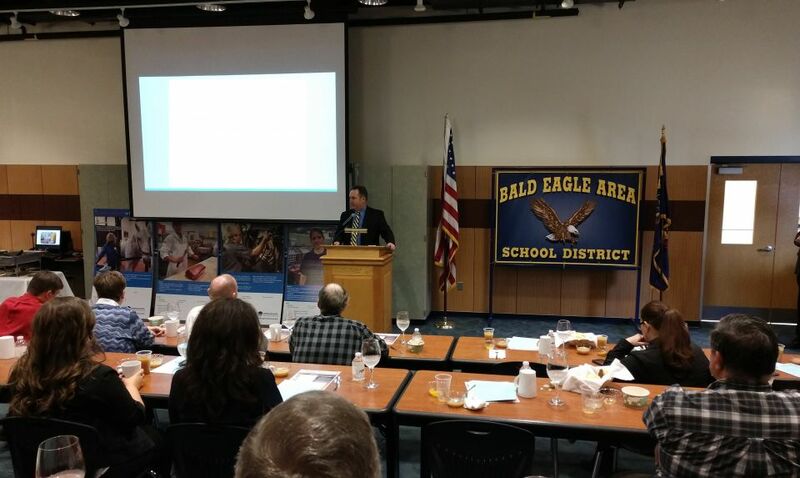 There representatives from California shared with the audience their model of drawing Congressional districts. 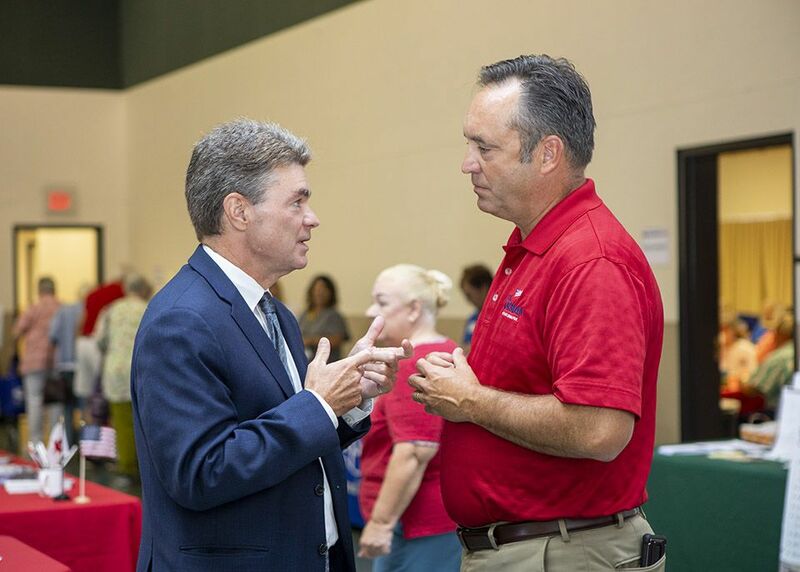 There I was able to talk with people who are passionate about changing our system. 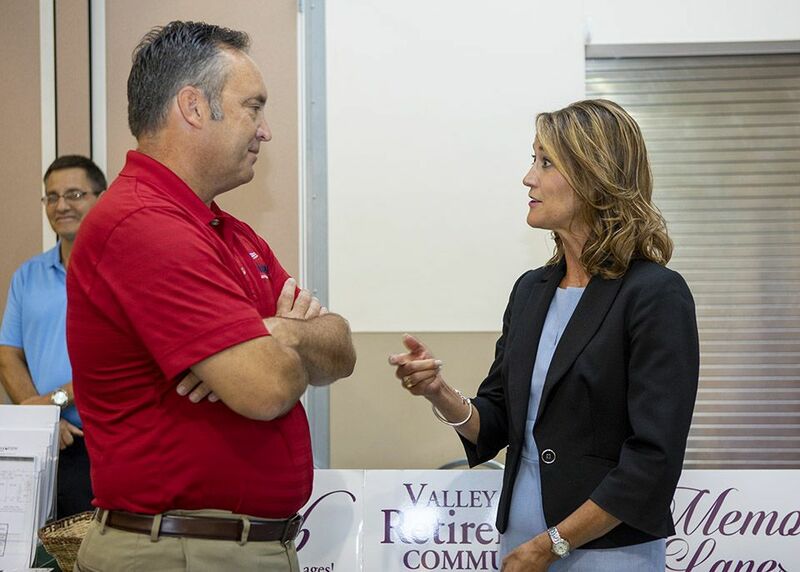 It was fascinating to hear about to the California system. 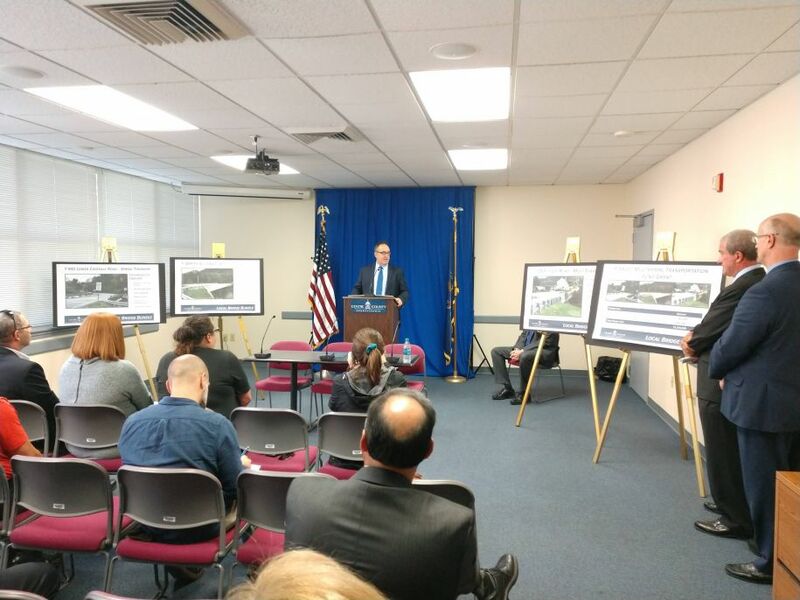 I look forward to continuing this process as the next set of Congressional maps will need to be completed in 2021. 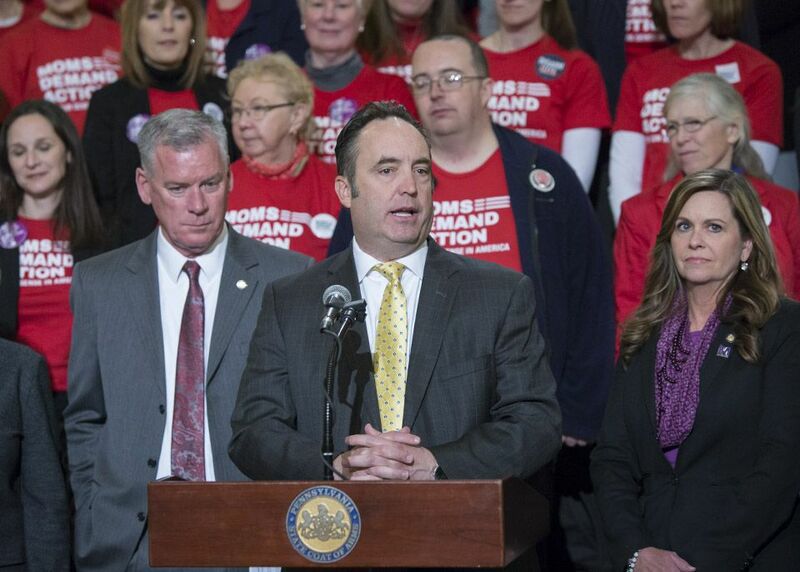 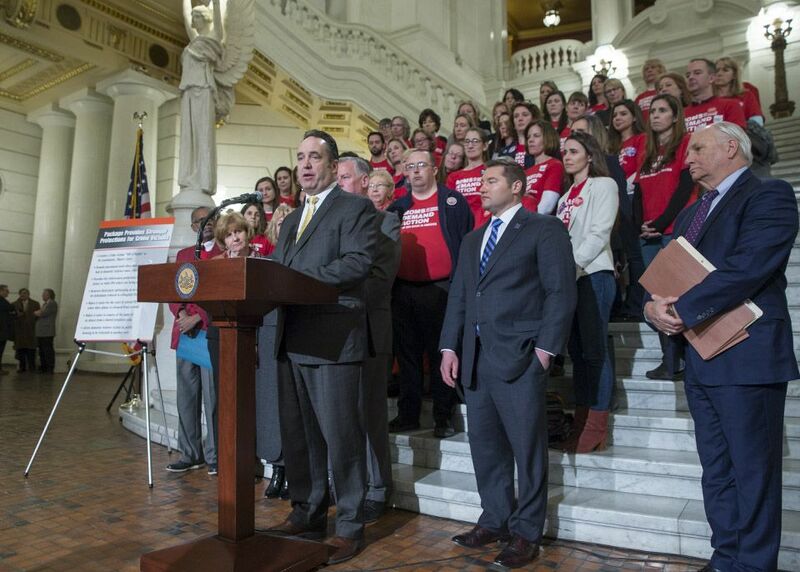 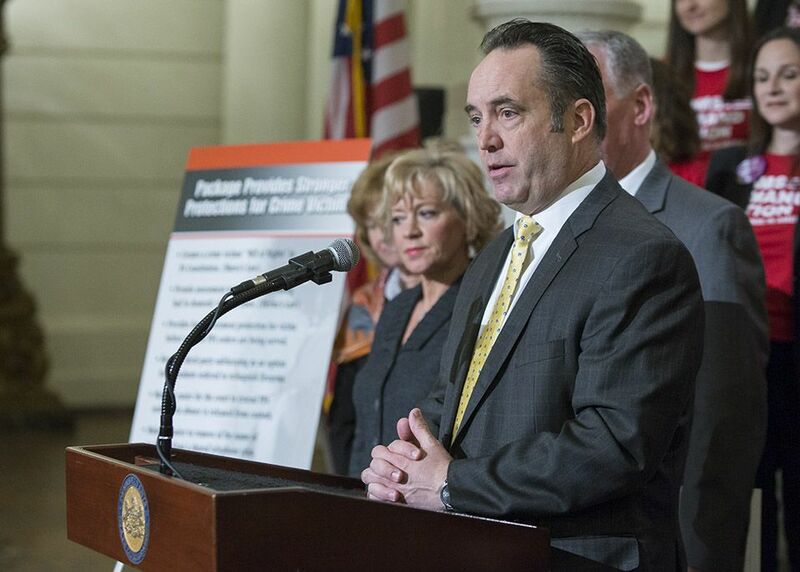 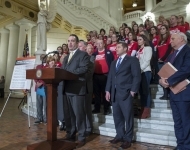 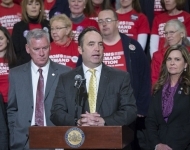 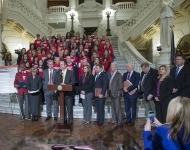 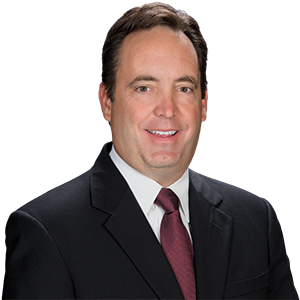 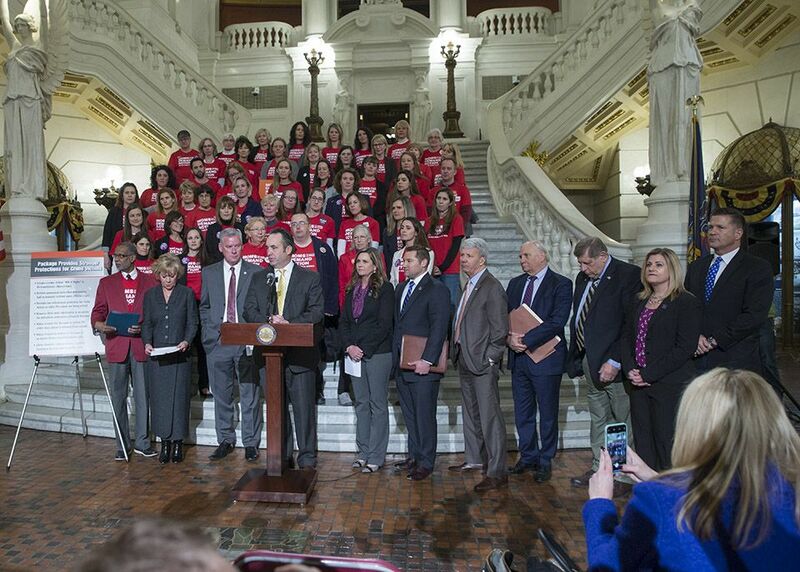 March 20, 2018 - Senator Corman joins Senate Colleagues in support of a bipartisan package of bills designed to strengthen and reform Pennsylvania’s domestic violence laws, specifically when it comes to victim’s rights. 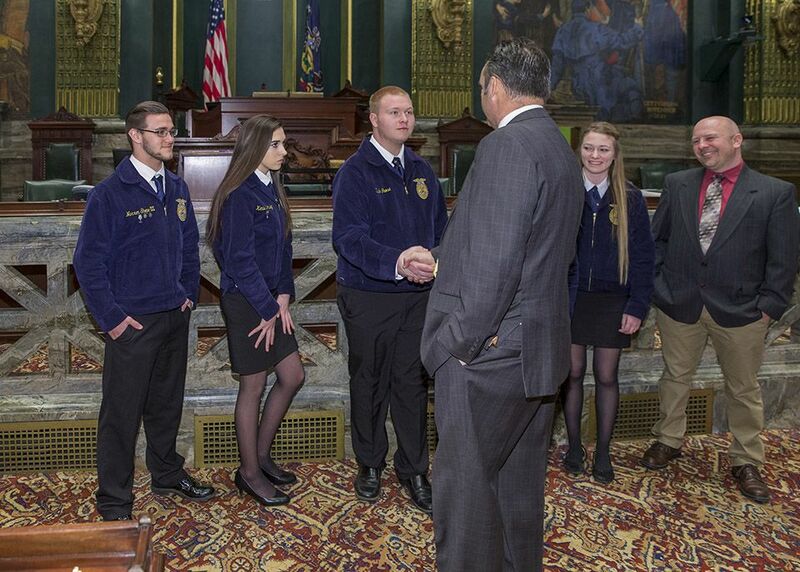 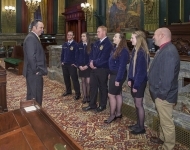 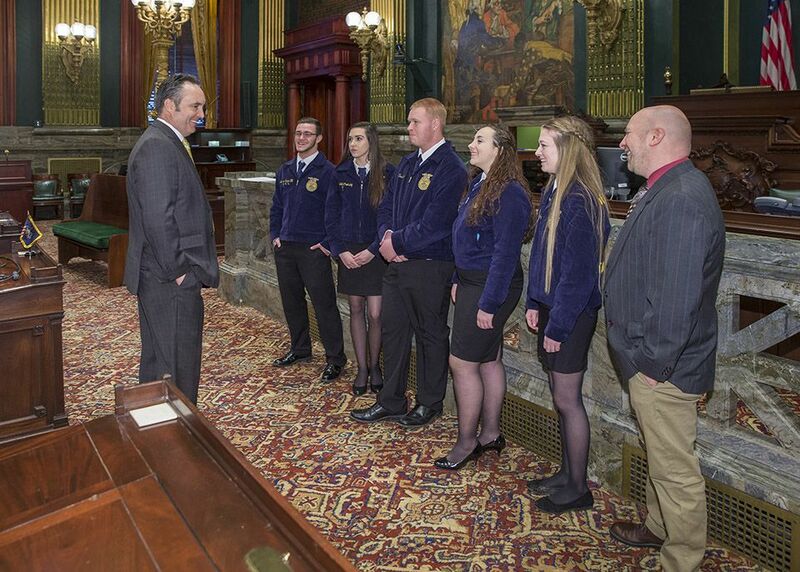 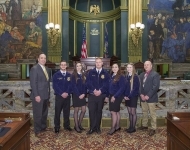 March 20, 2018 - Senator Corman greets students from the Huntingdon Area H.S. 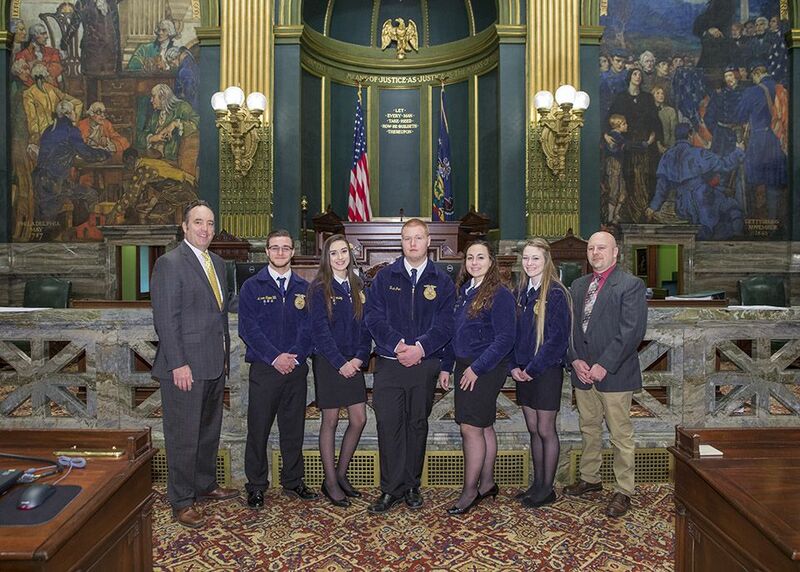 FFA Club during their FFA Day to discuss the importance of Agricultural Education. 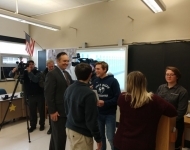 March 9, 2018 - Senator Corman surprises the PVMedia class at Penns Valley Area High School to notify them that they are a semi-finalist in the “Talk to Your State Senator” video contest. 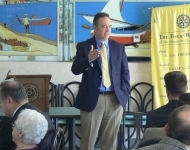 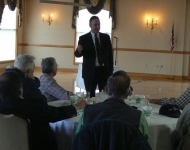 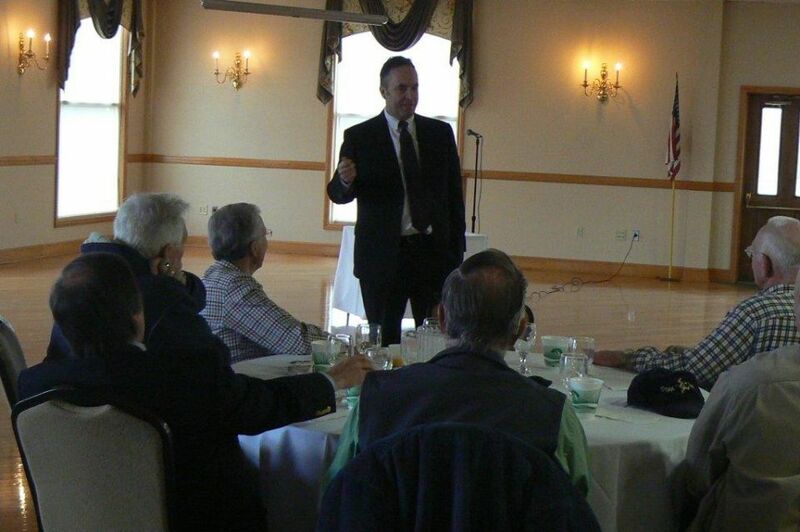 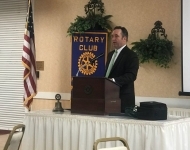 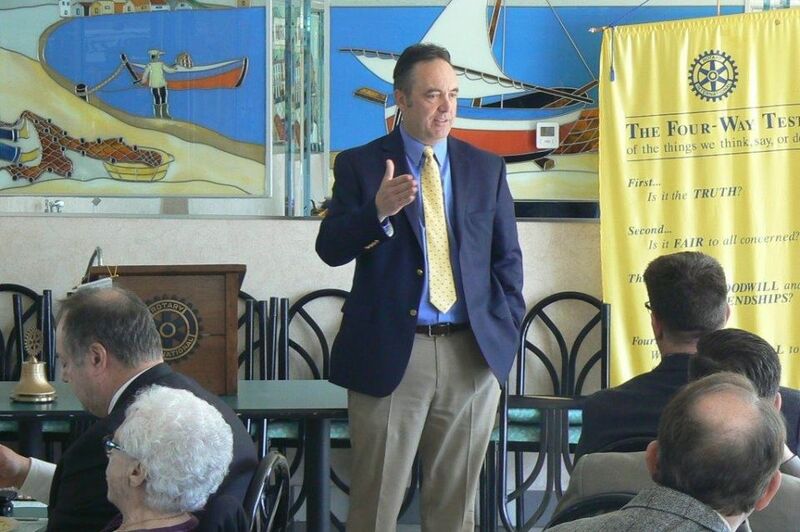 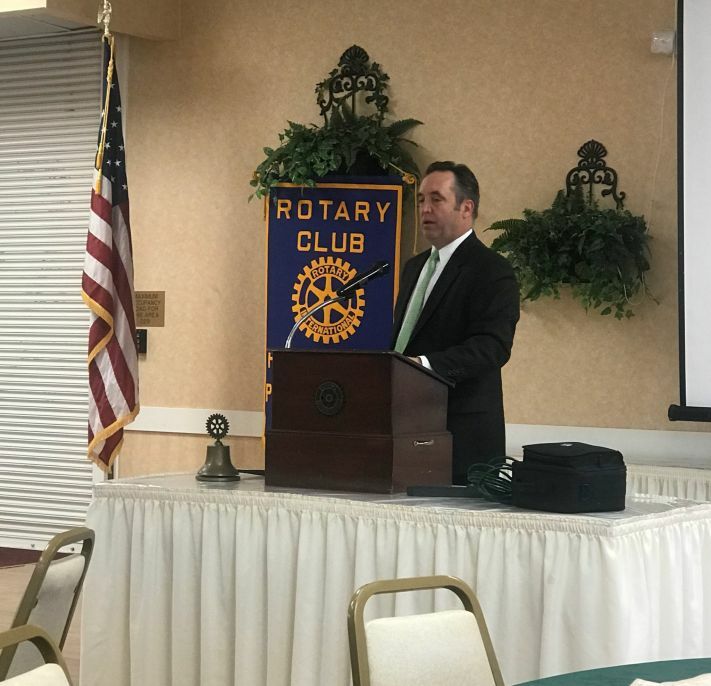 March 6, 2018 – Senator Corman was the guest speaker at the Huntingdon Rotary Club luncheon. 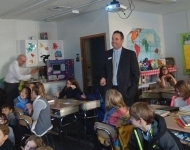 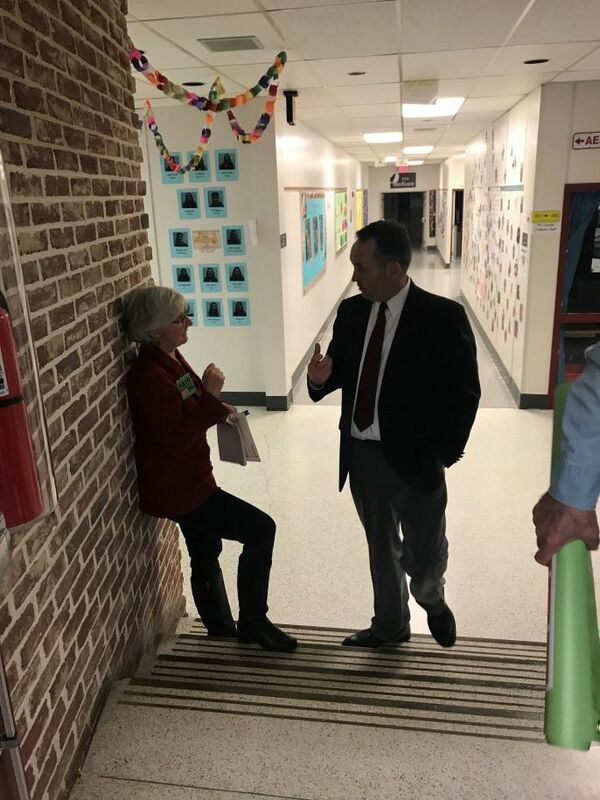 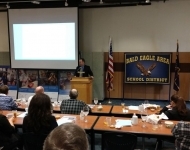 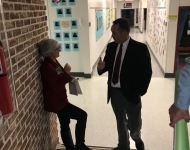 February 21, 2018 – Senator Corman visits Bald Eagle Area school district for an Agricultural Education showcase. 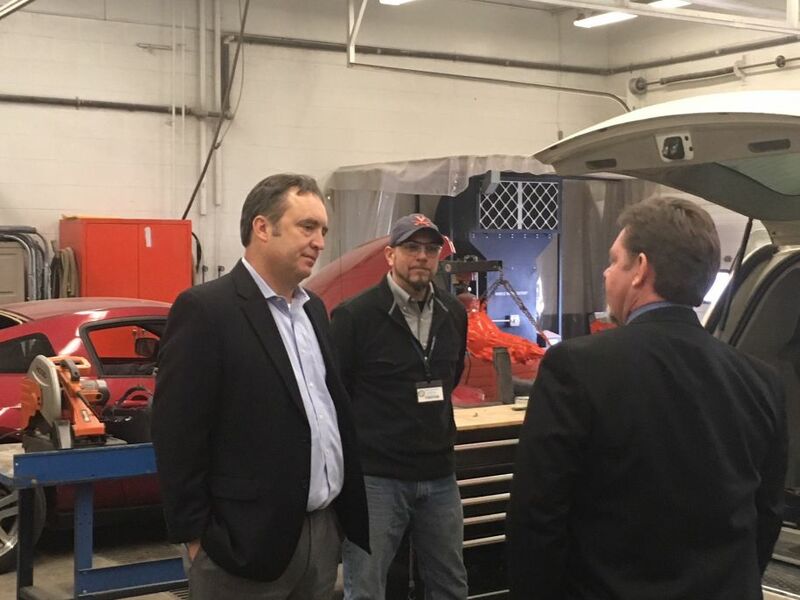 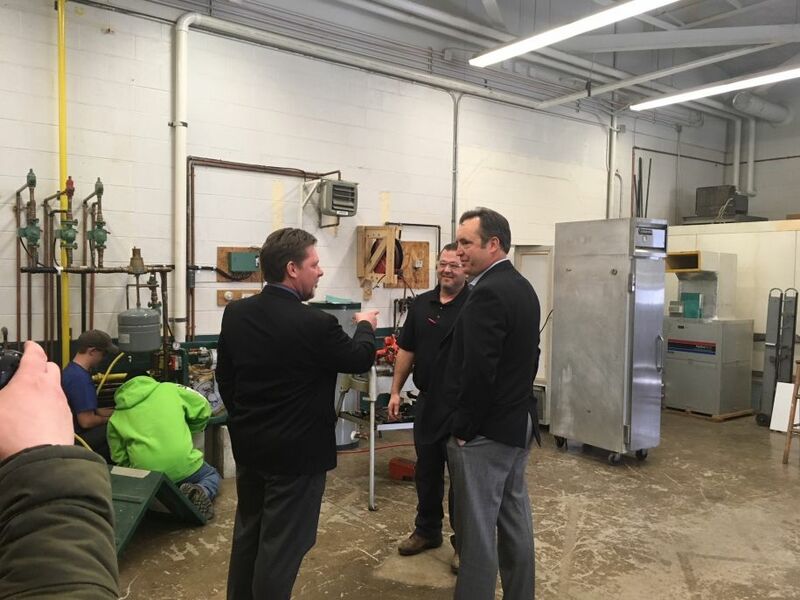 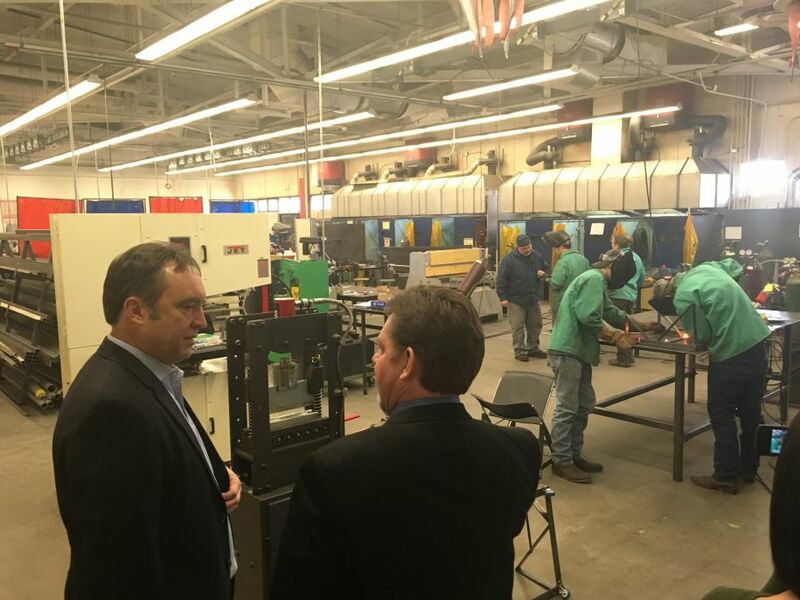 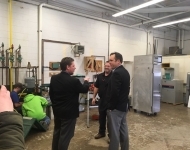 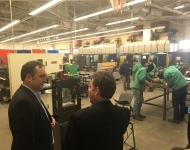 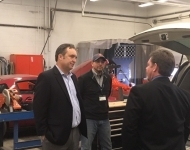 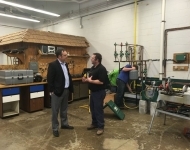 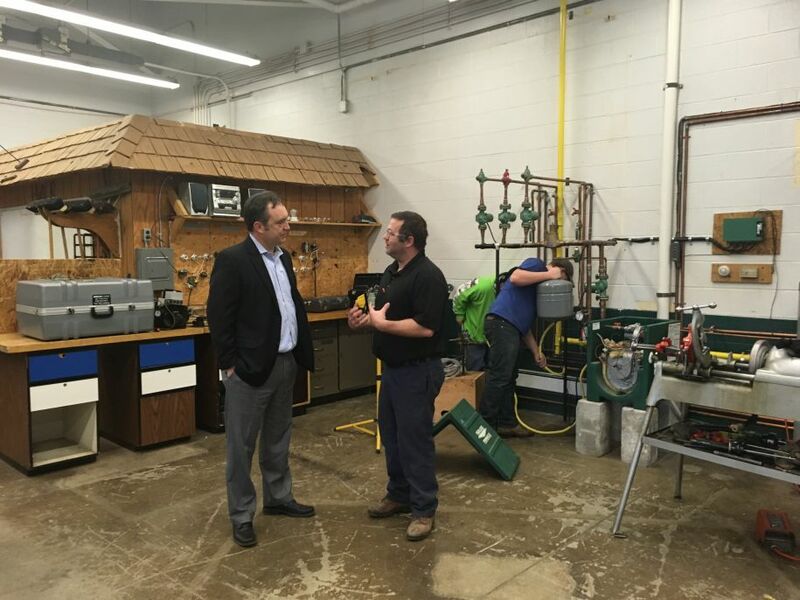 February 2, 2018 - Senator Corman toured the Huntingdon County Career and Technology Center (HCCTC) to see how $1.125 million in state money will allow the facility to expand and upgrade. 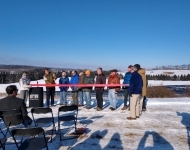 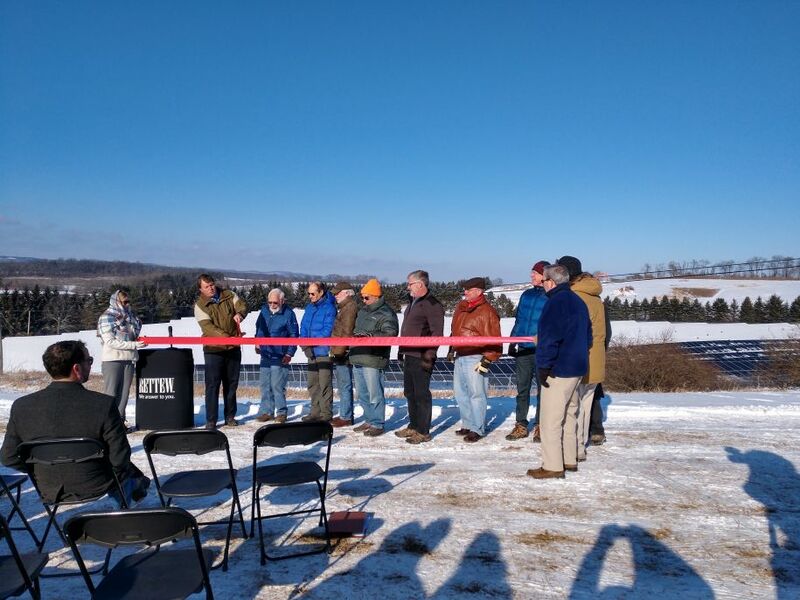 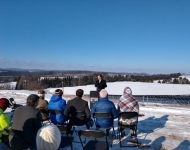 January 17, 2018 - Senator Corman participates in the ribbon cutting at the University Area Joint Authority’s new Solar Array, a partnership with PACE Energy LLC. 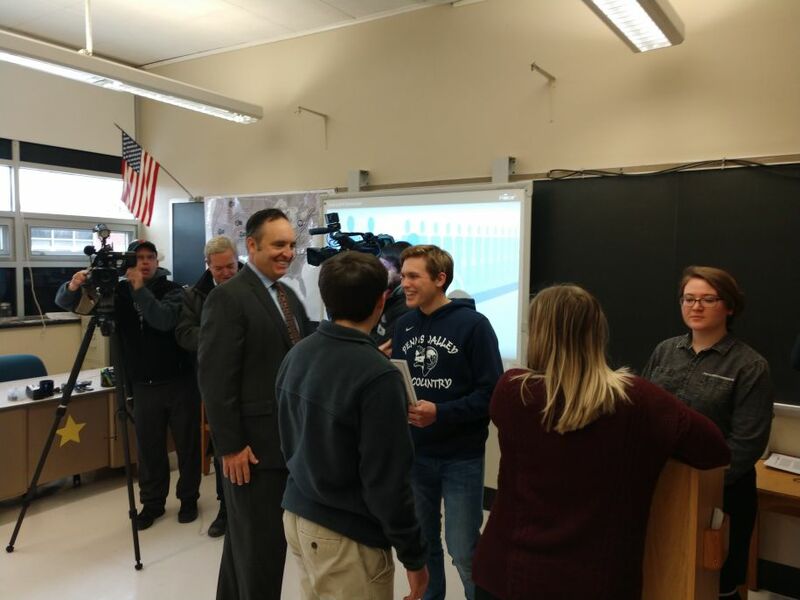 January 3, 2018 - Sen. Corman visits the Central Pennsylvania Institute of Science and Technology (CPI) after announcing a $4 million state grant to help offset costs of building its health science building. 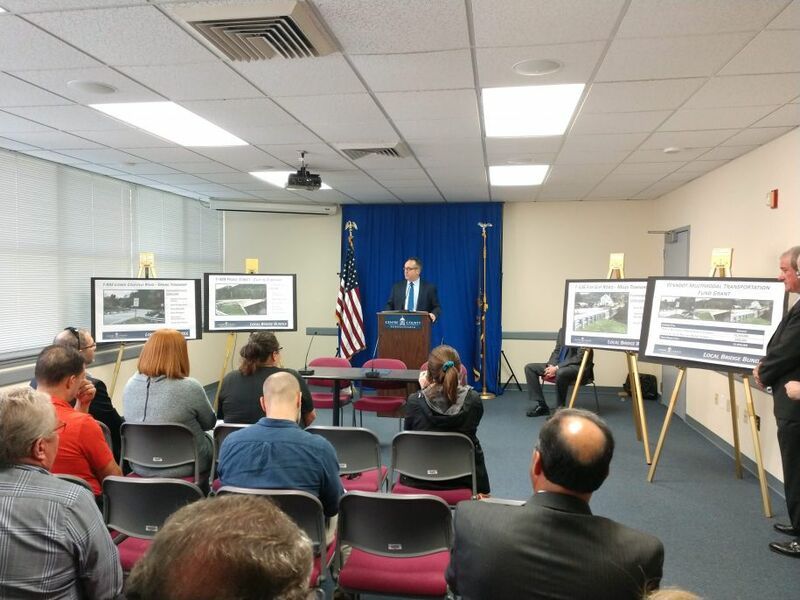 Constructing this building allows CPI to expand the array of educational opportunities the school provides to our local residents. 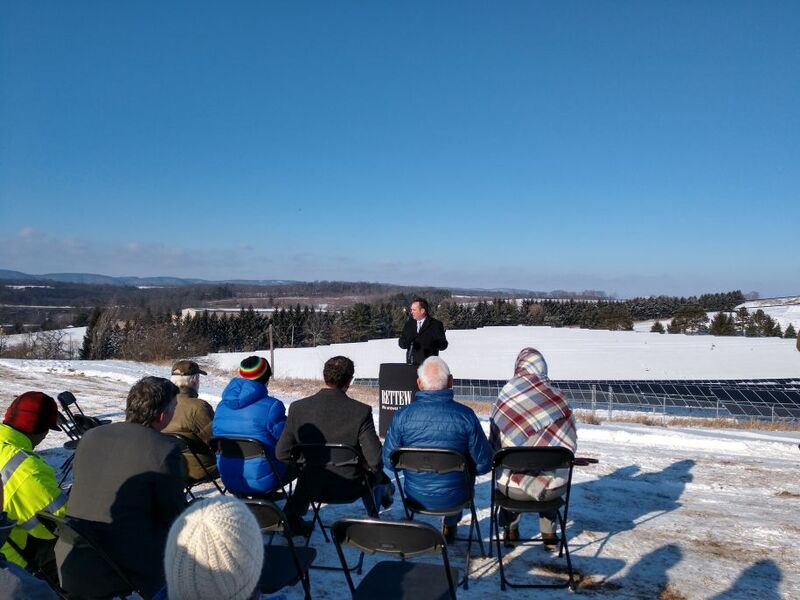 It’s an investment in our community and will meet the local demand for high-quality education close to home.